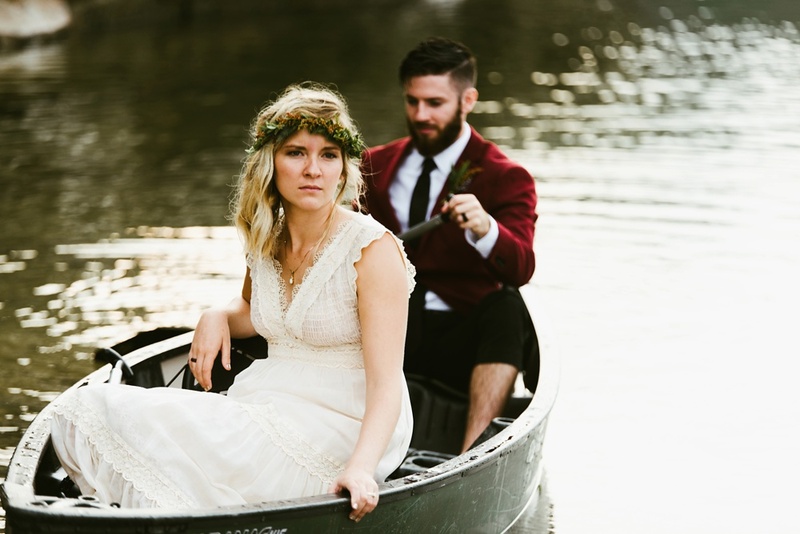 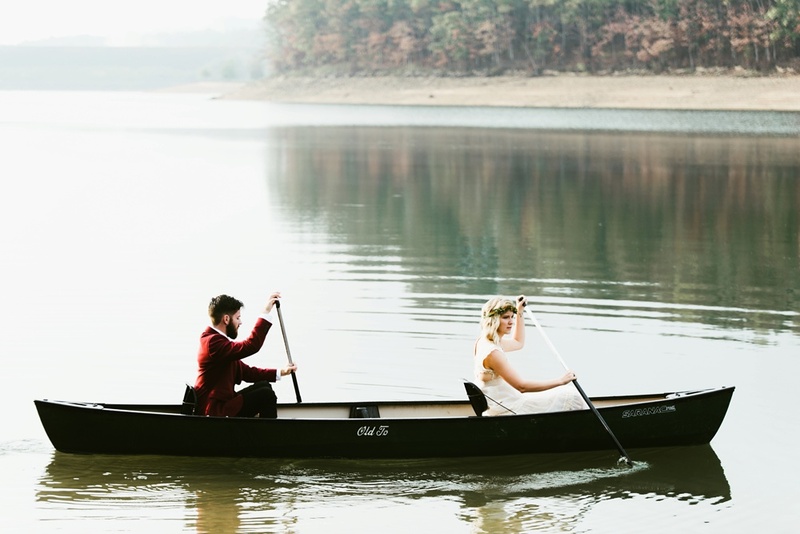 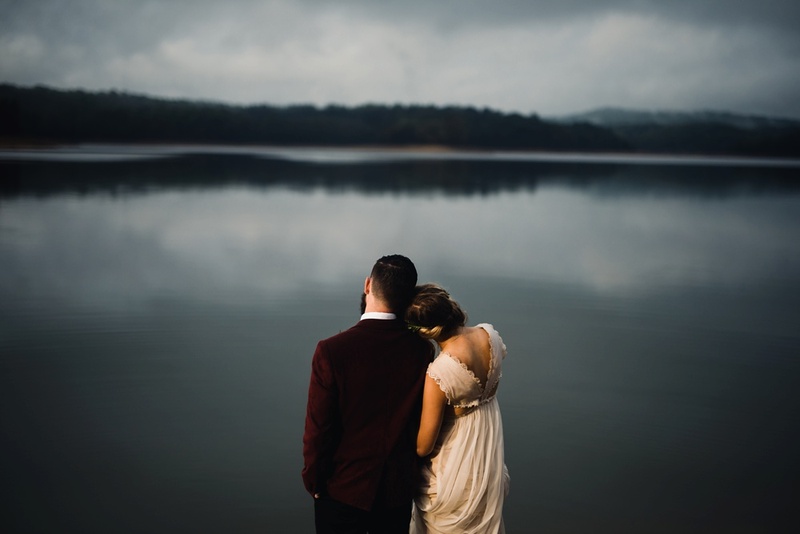 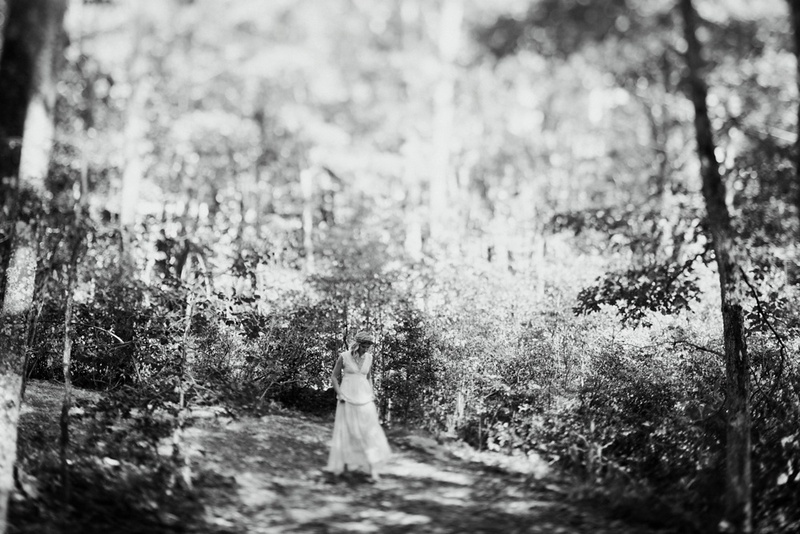 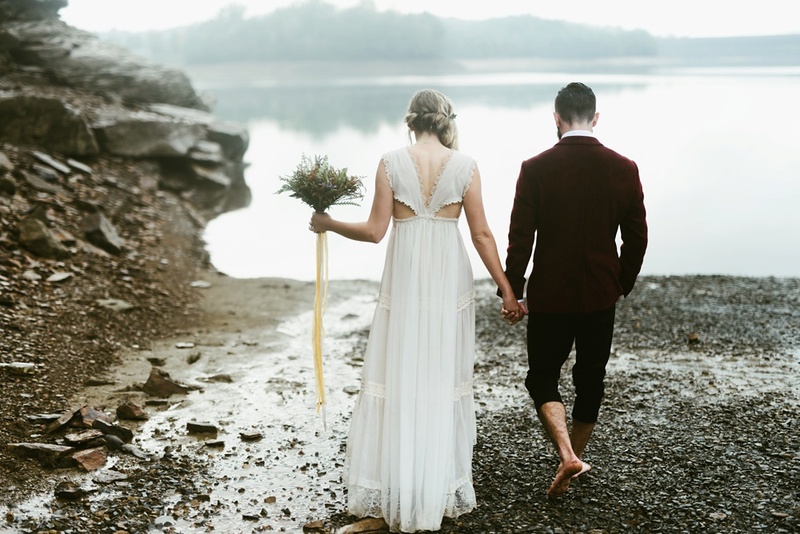 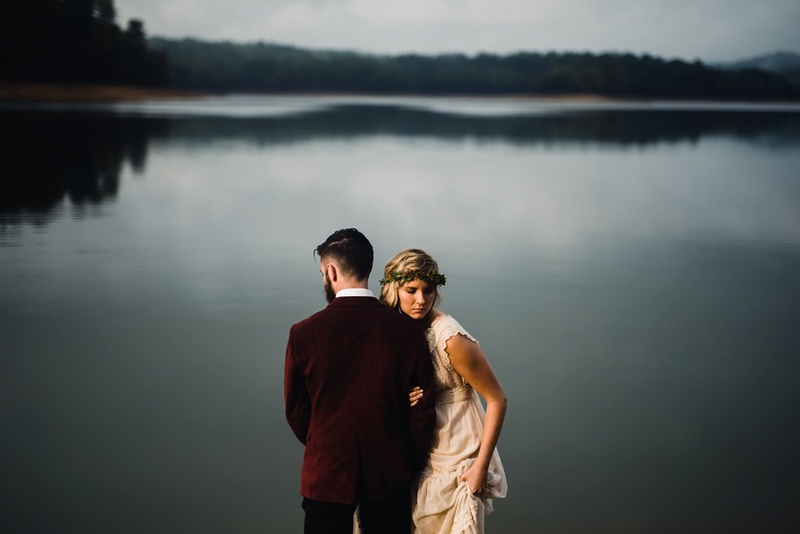 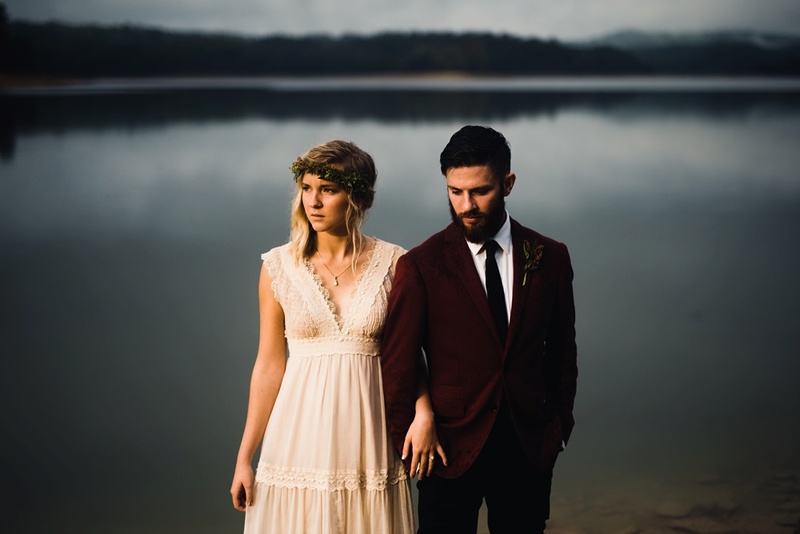 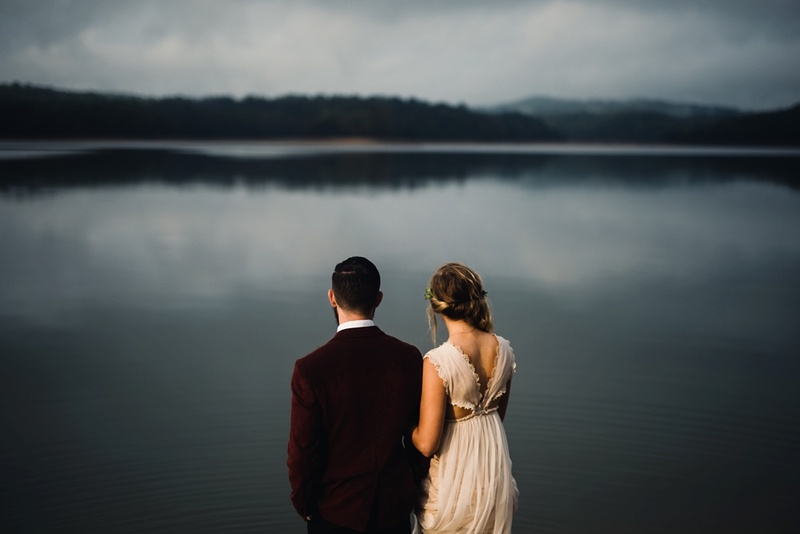 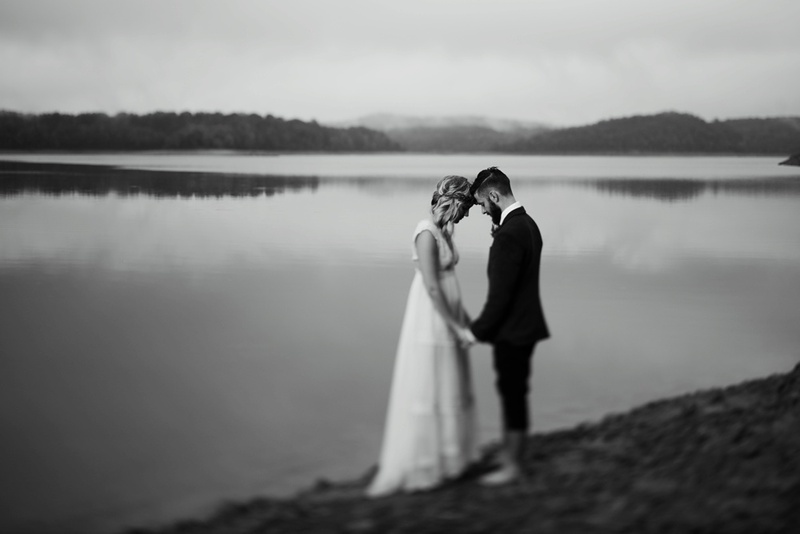 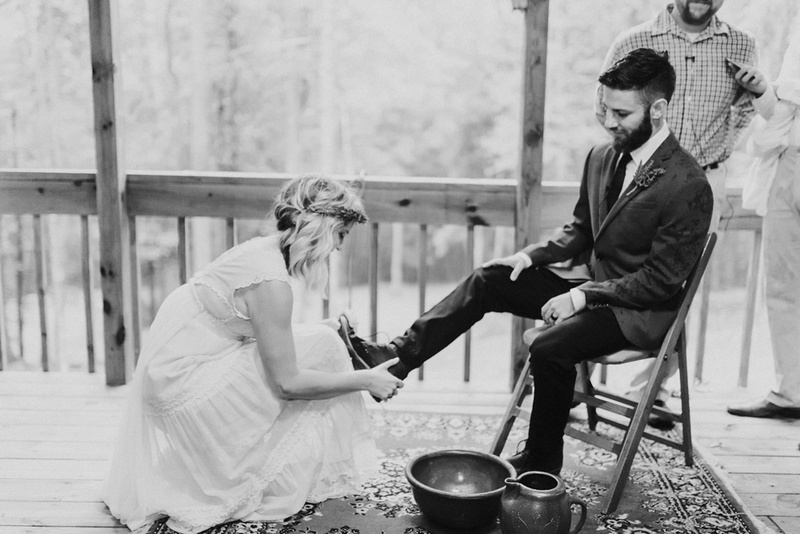 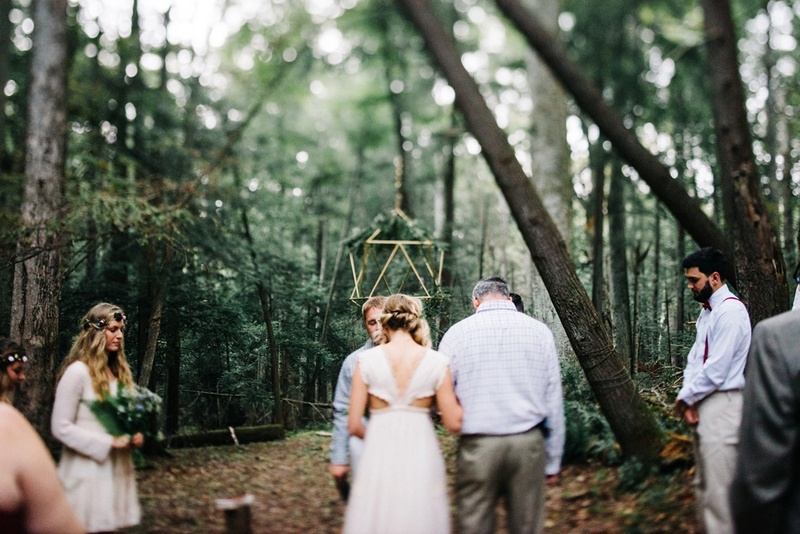 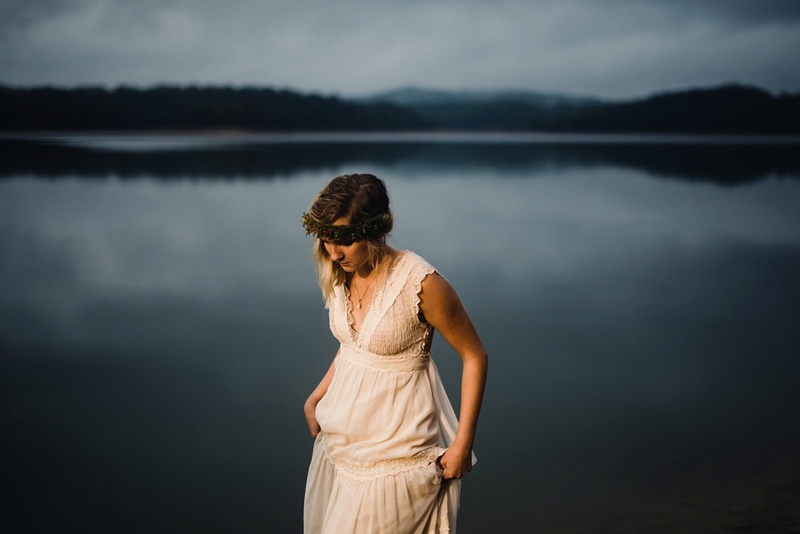 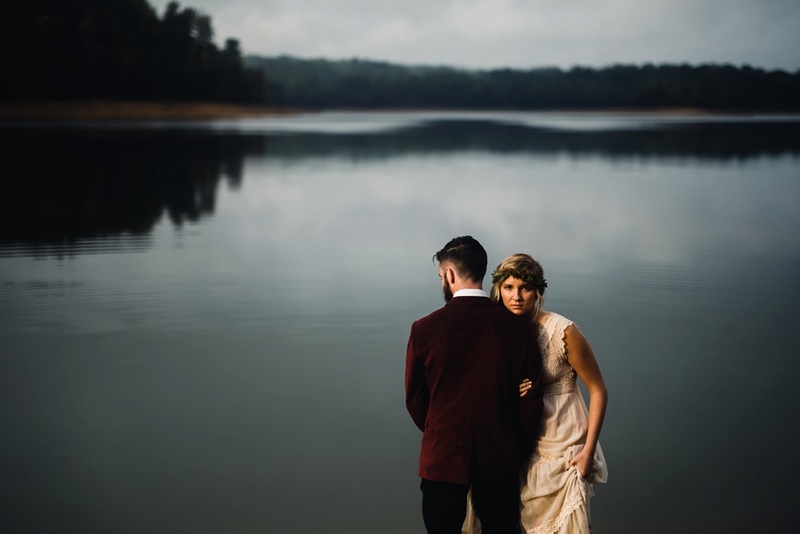 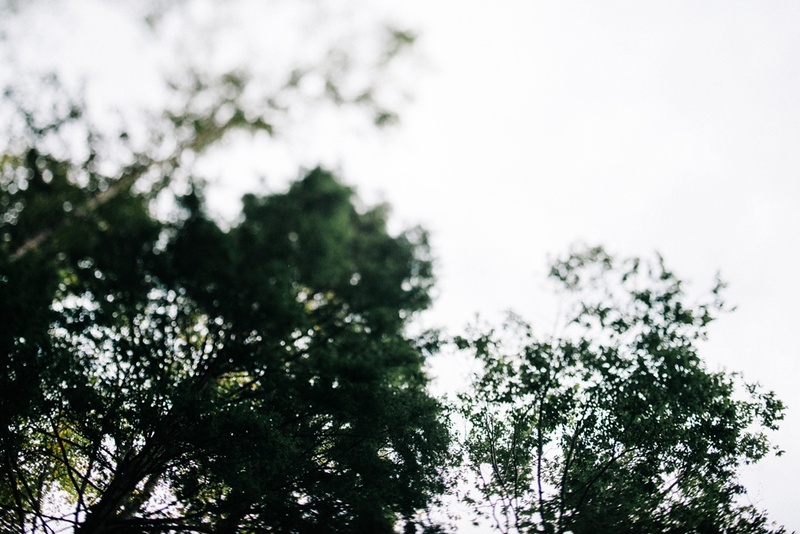 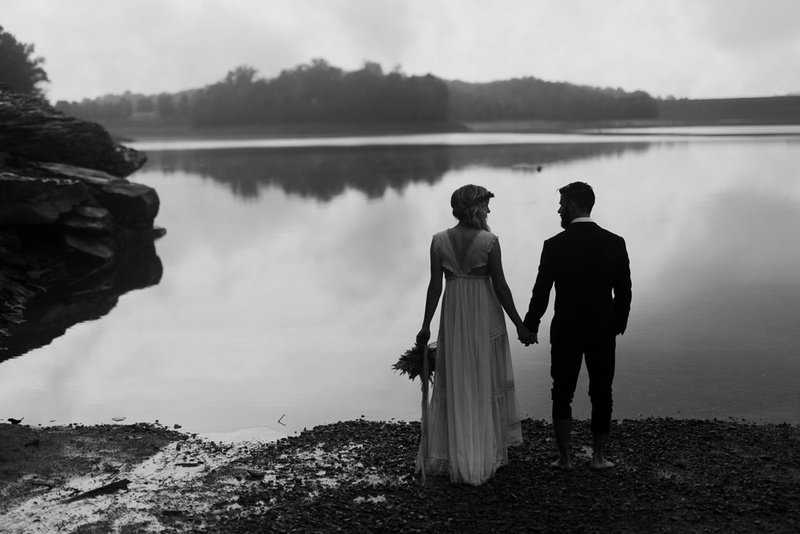 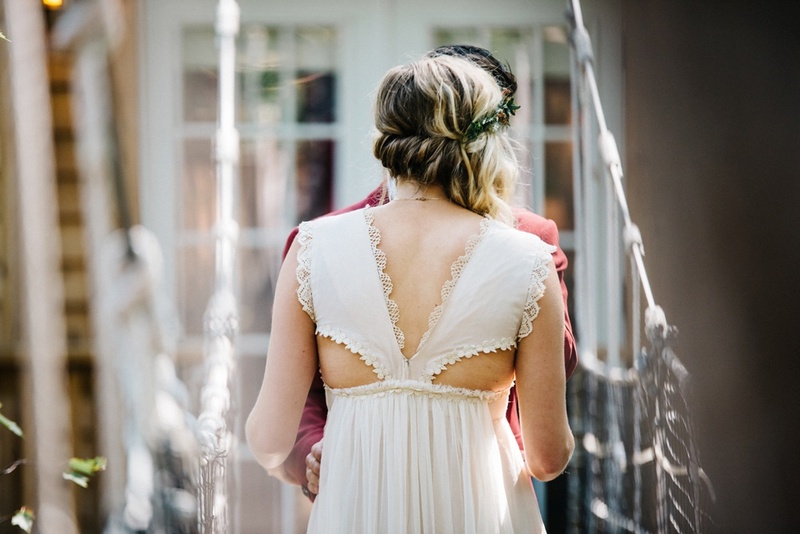 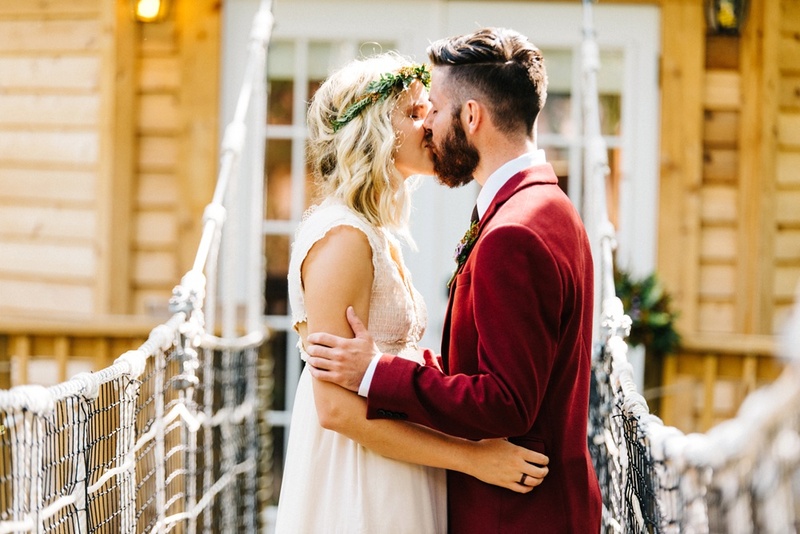 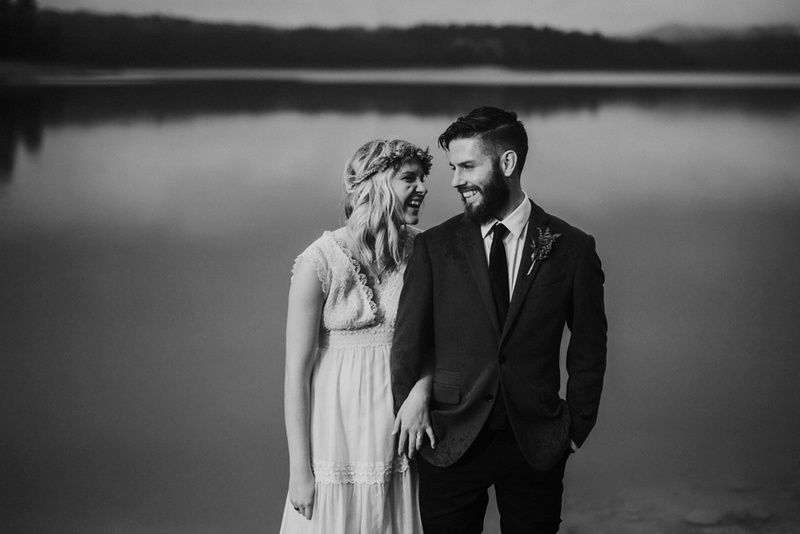 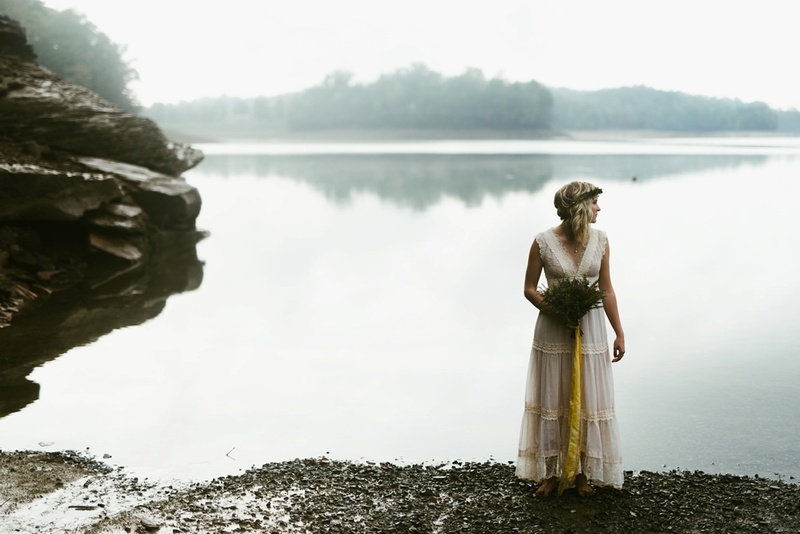 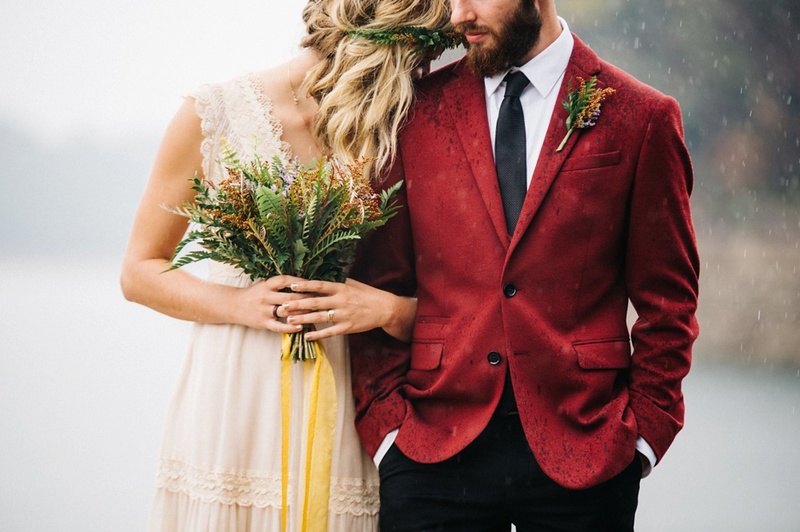 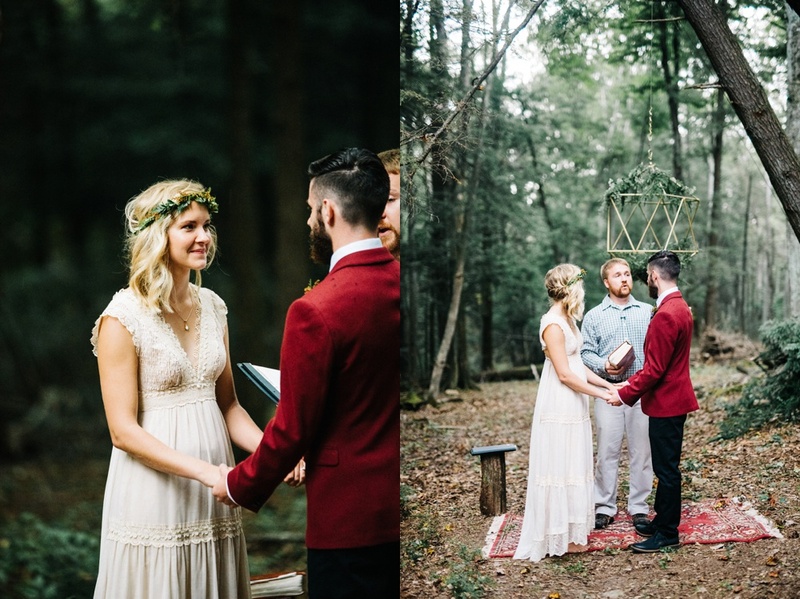 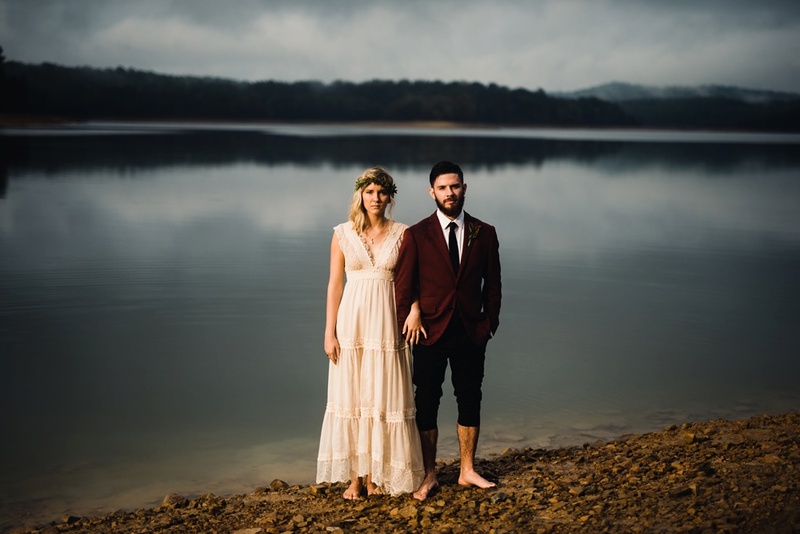 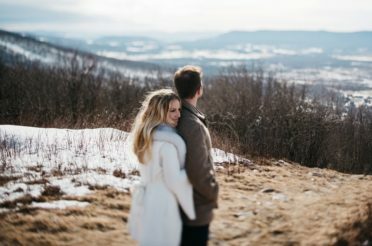 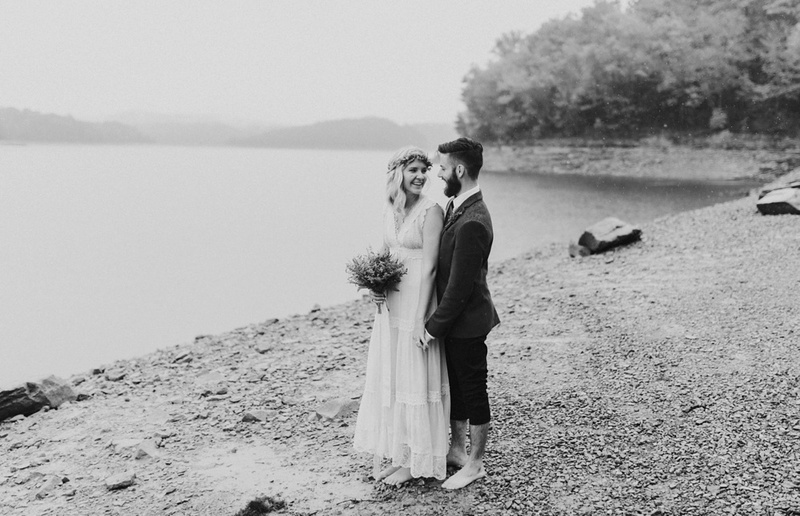 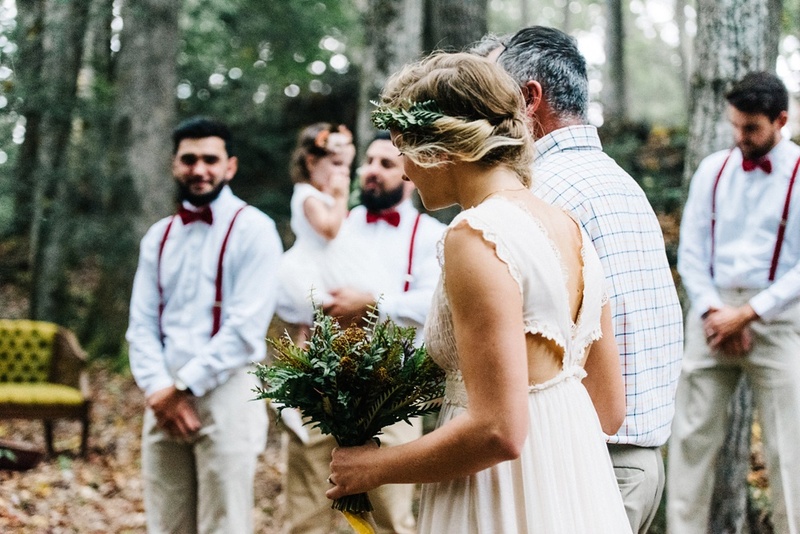 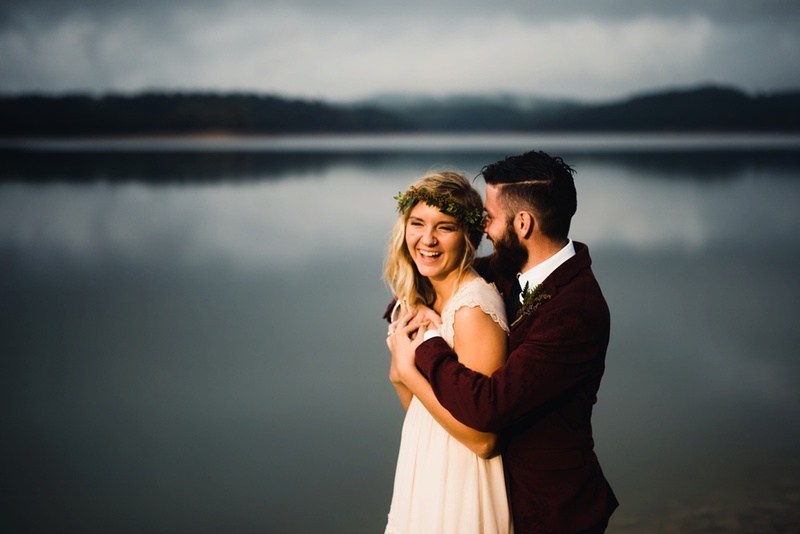 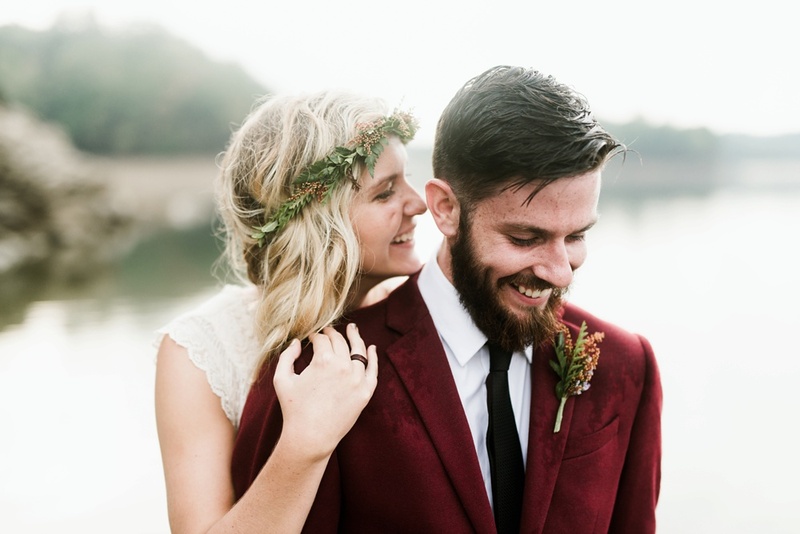 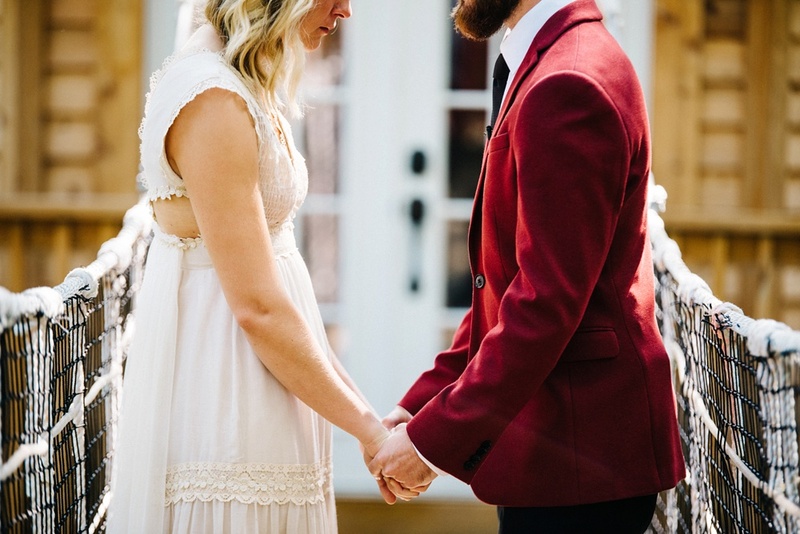 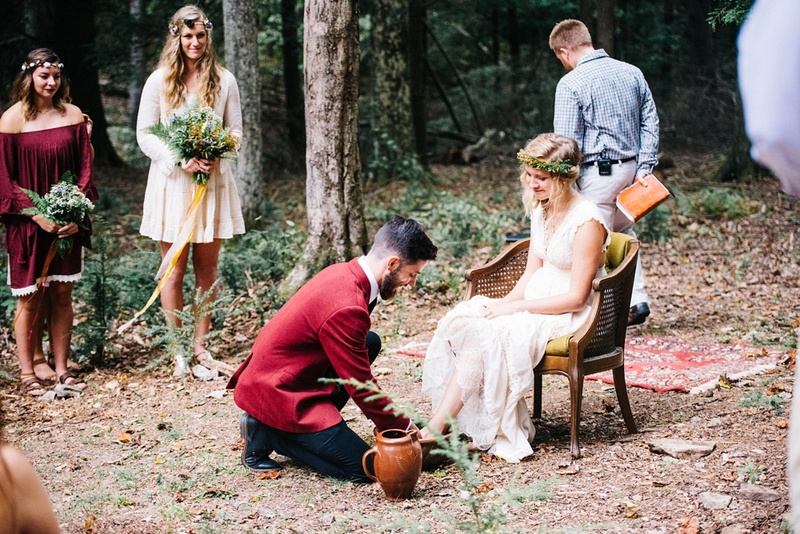 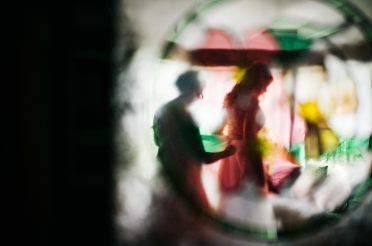 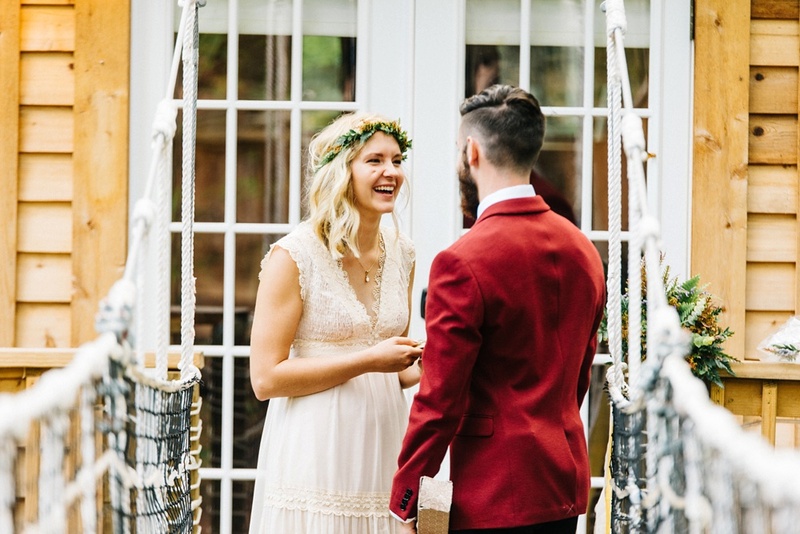 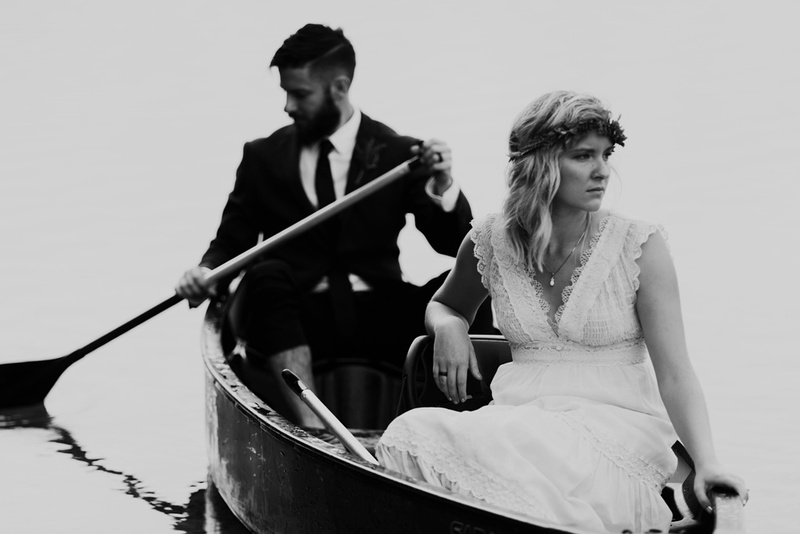 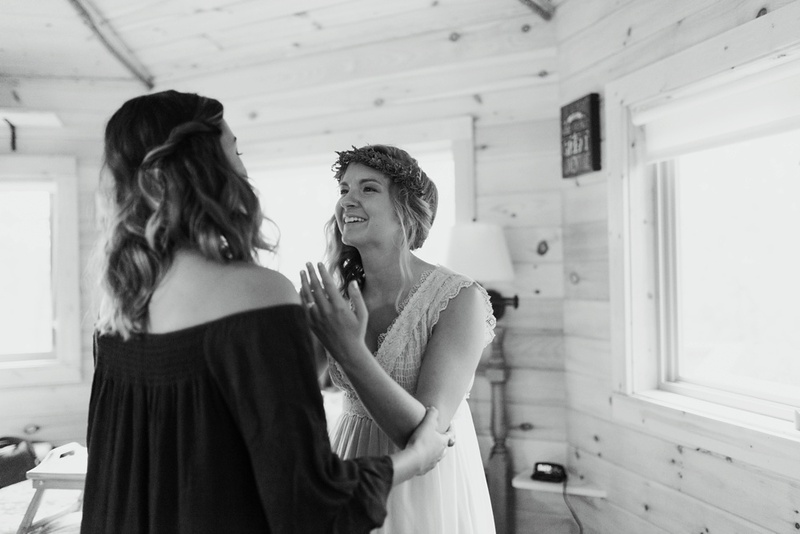 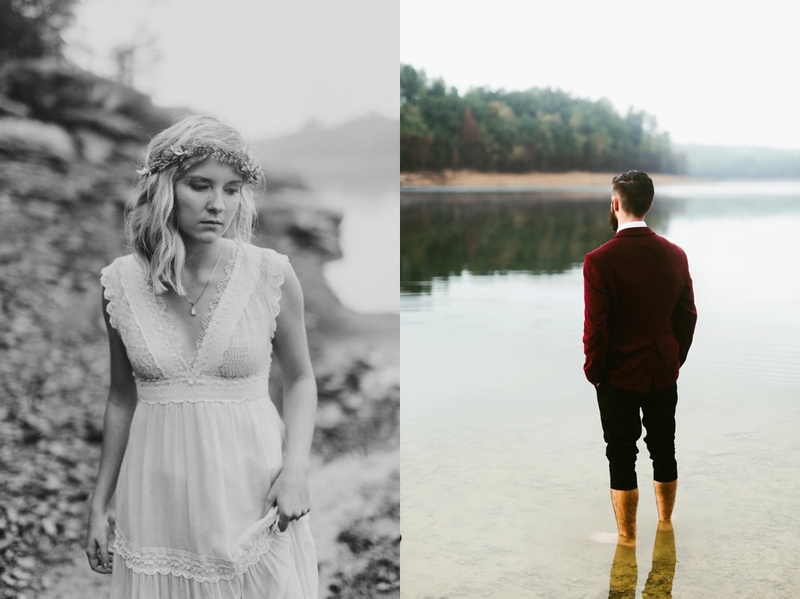 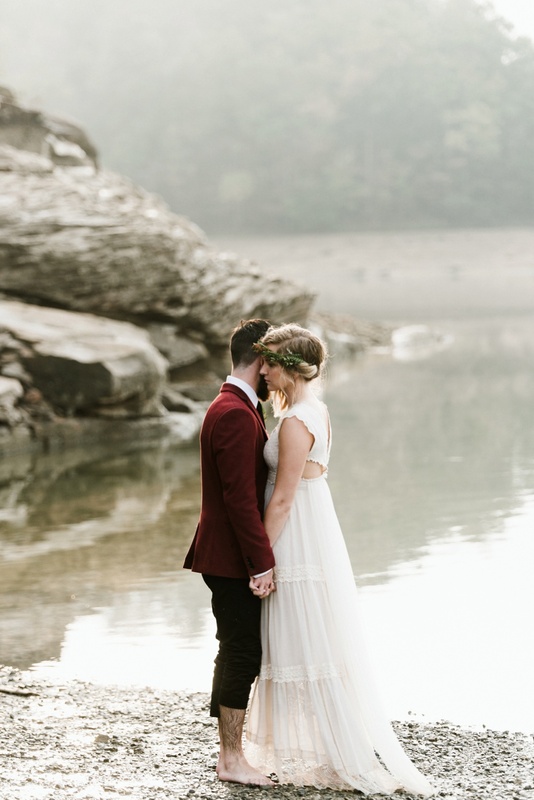 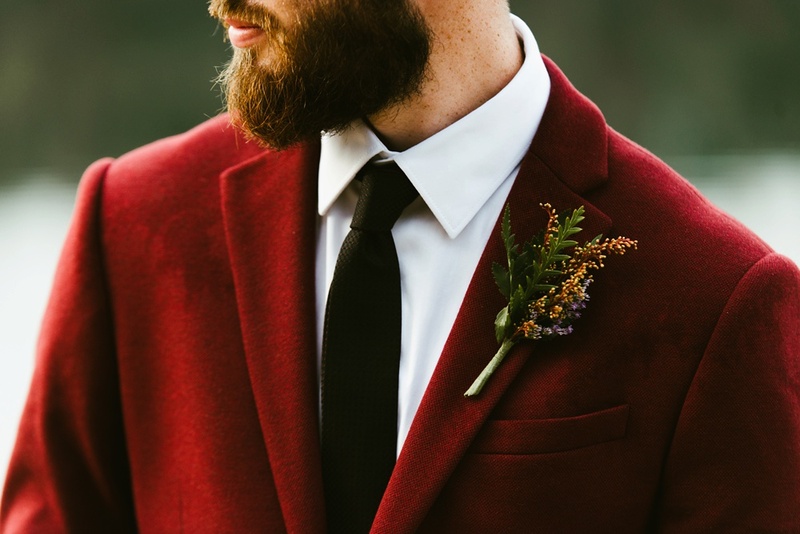 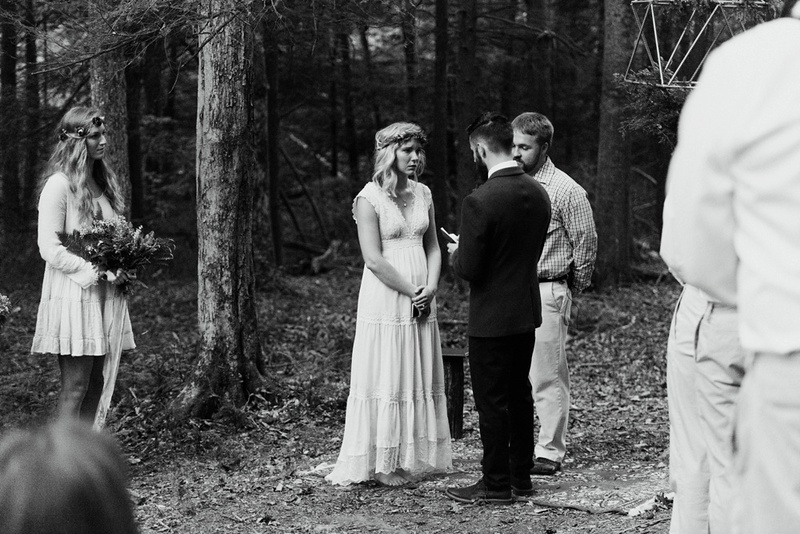 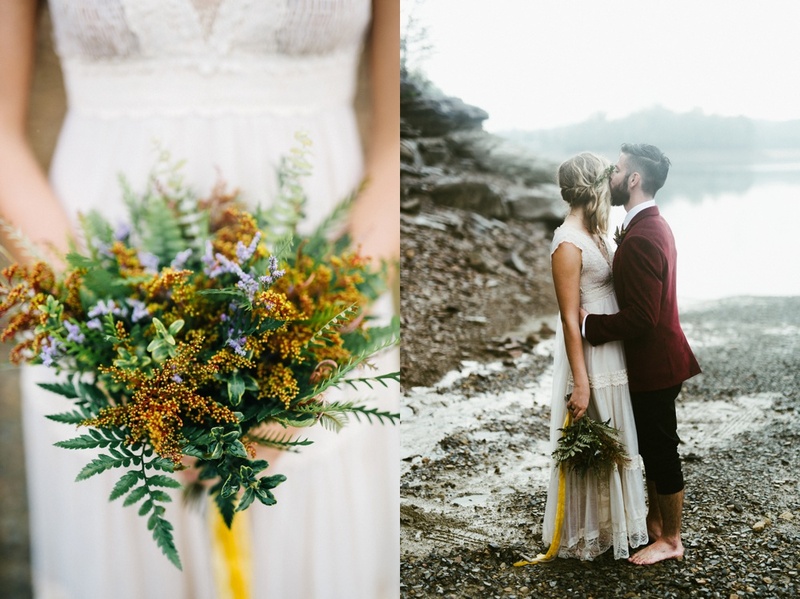 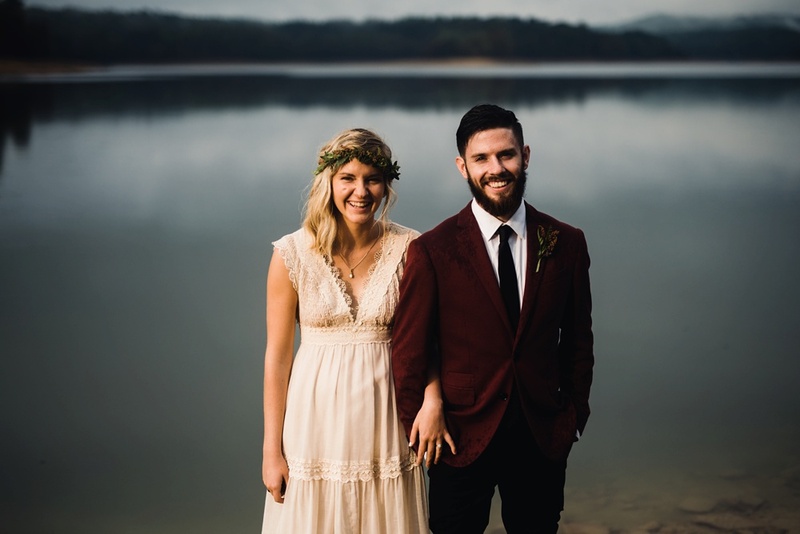 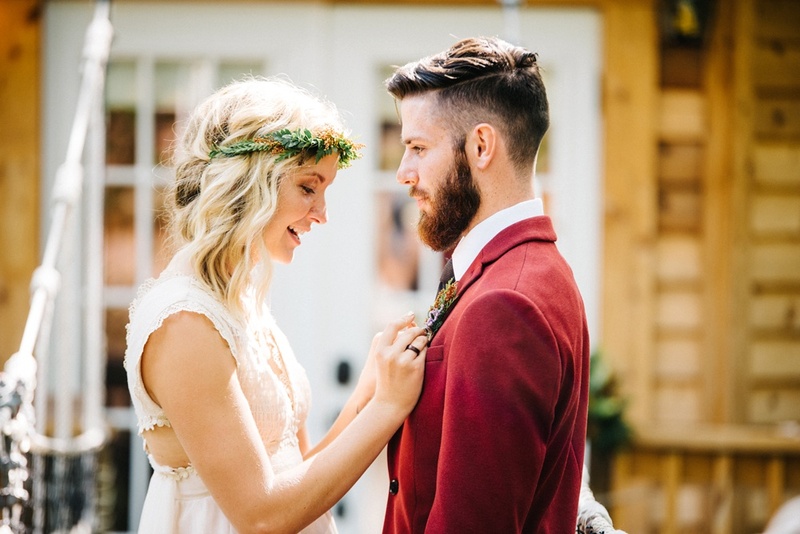 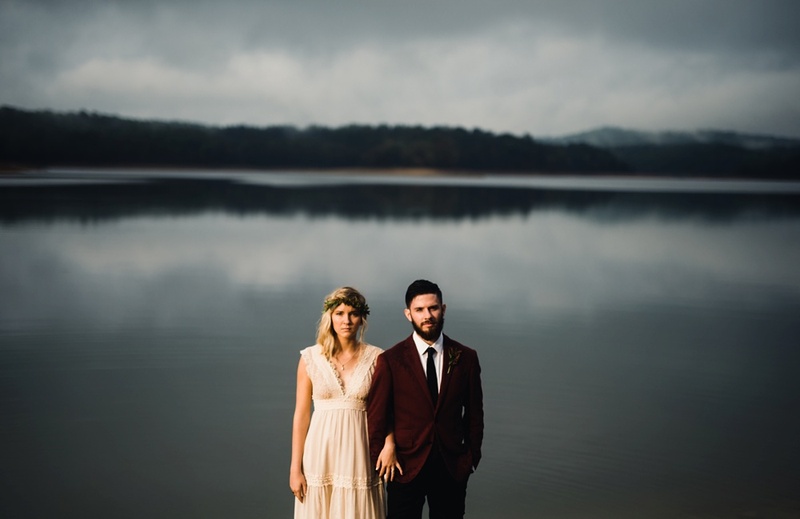 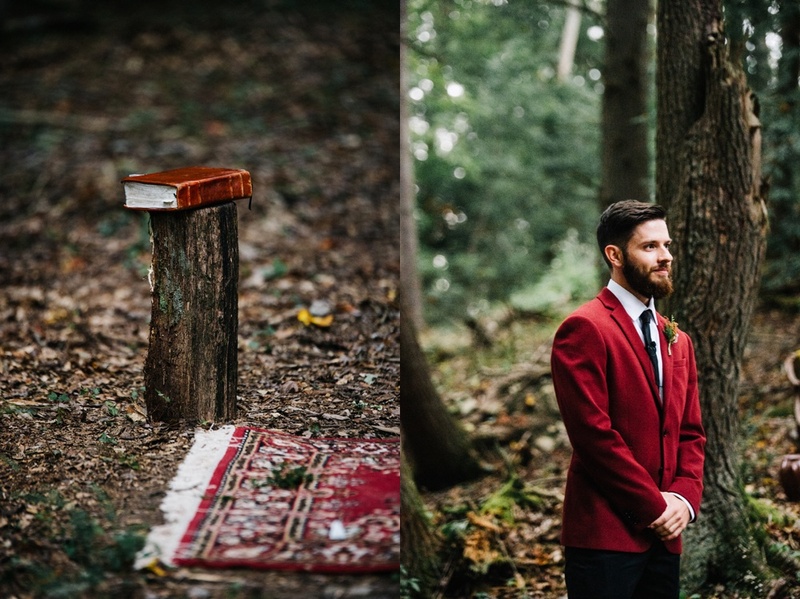 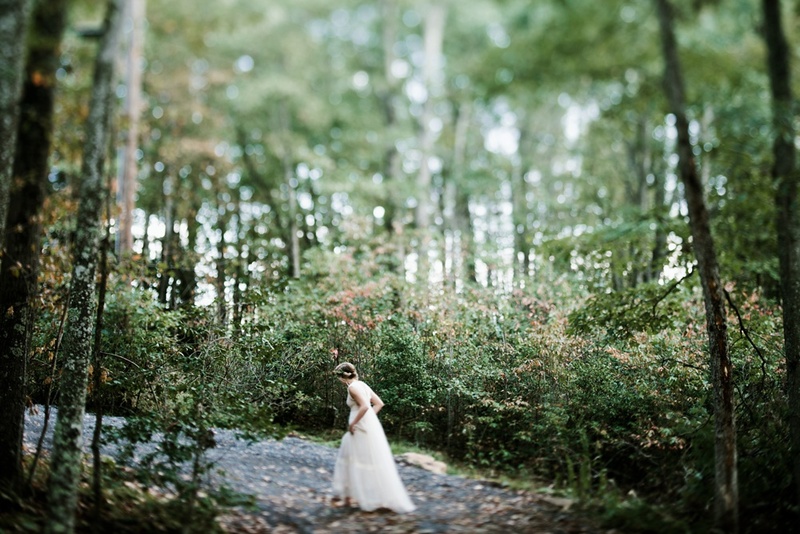 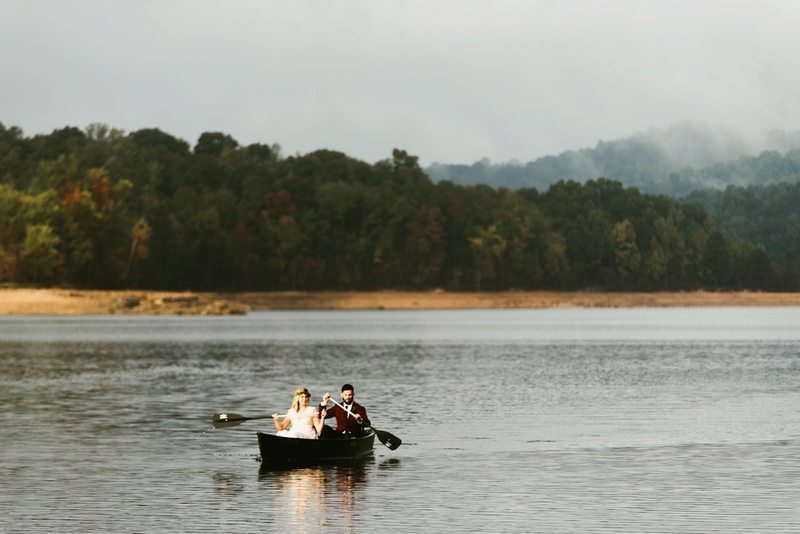 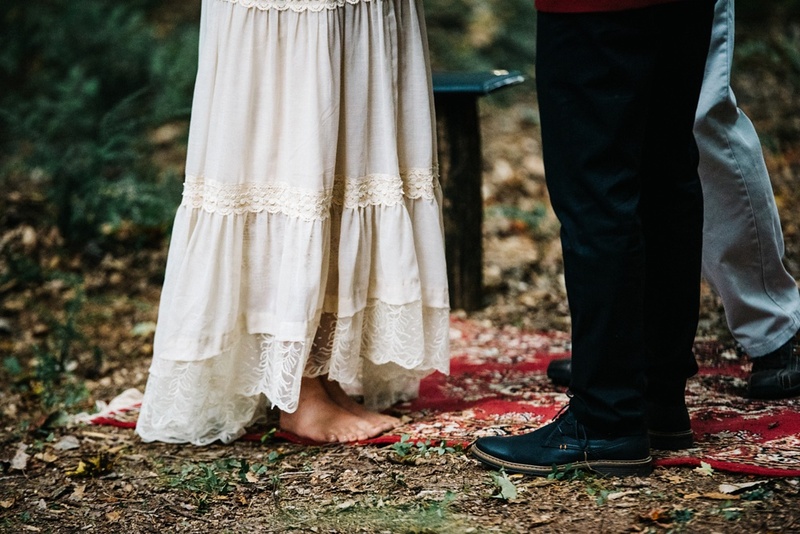 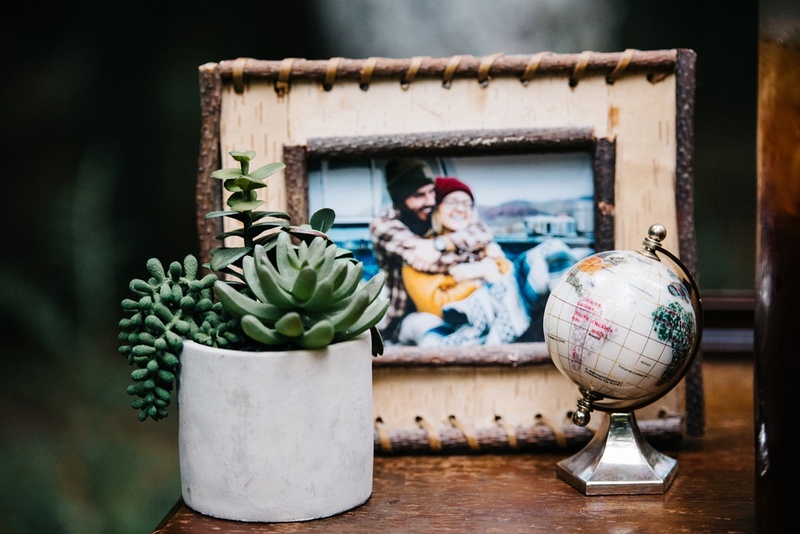 This intimate elopement-style wedding was such a pleasure to shoot. 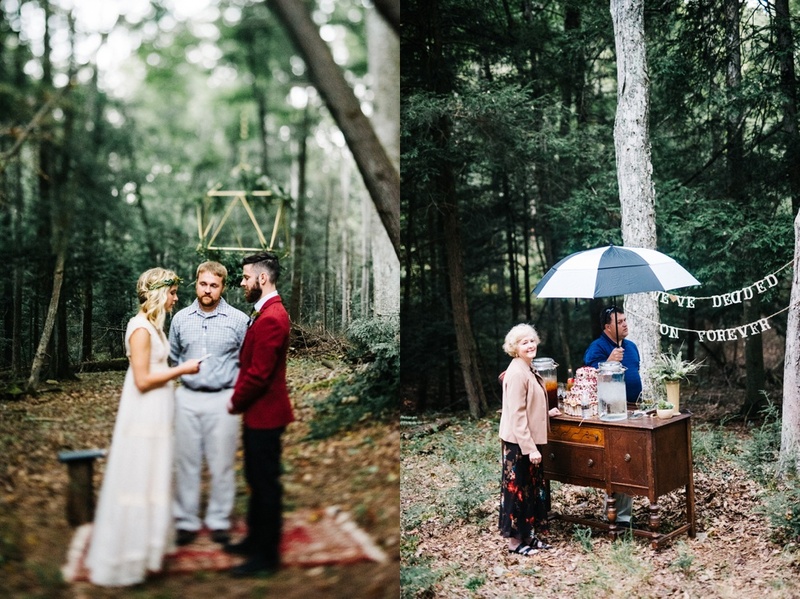 There was no rehearsal & they didn’t care if it rained. 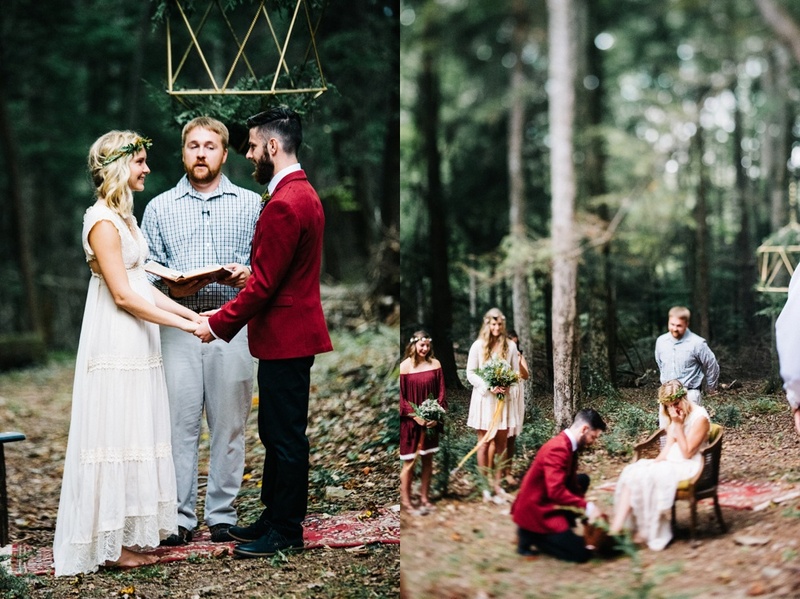 They were getting married. 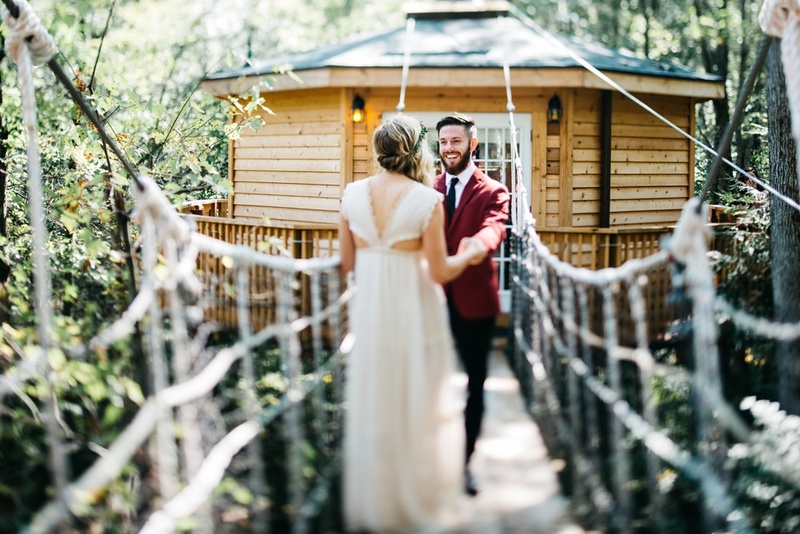 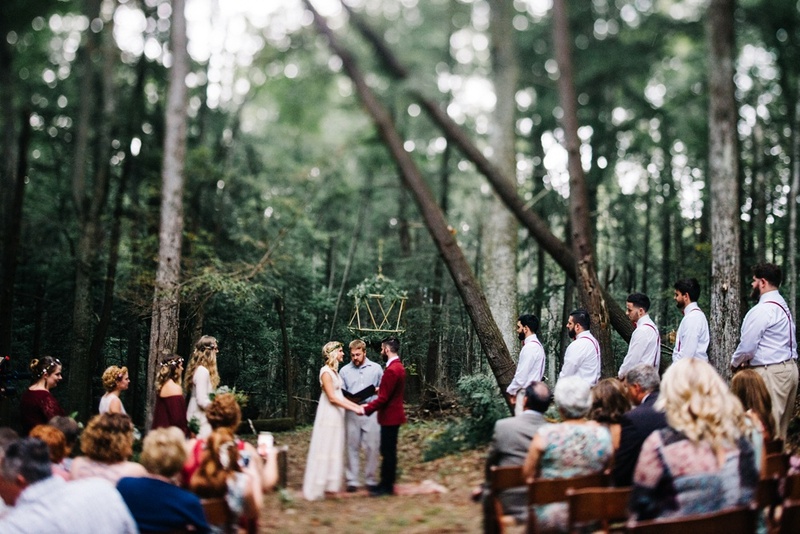 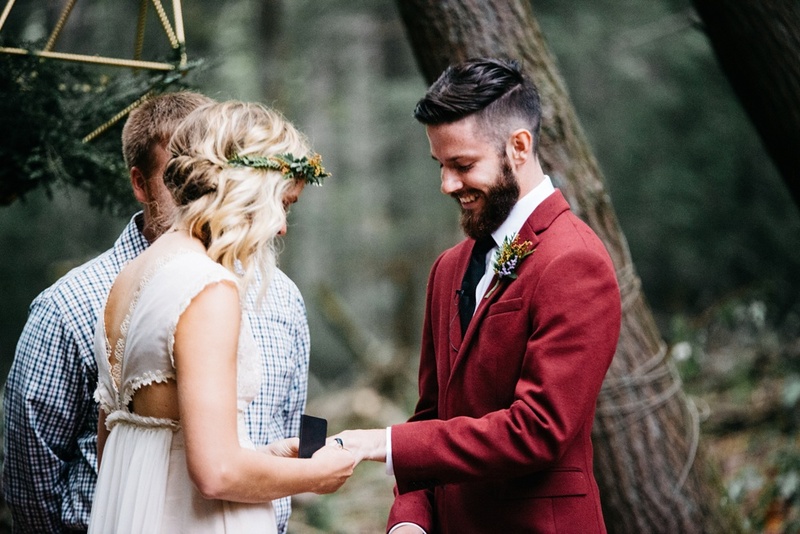 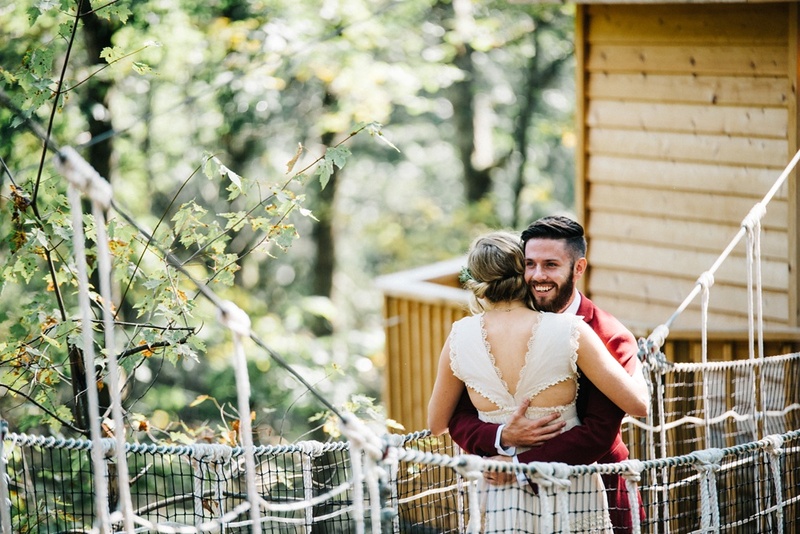 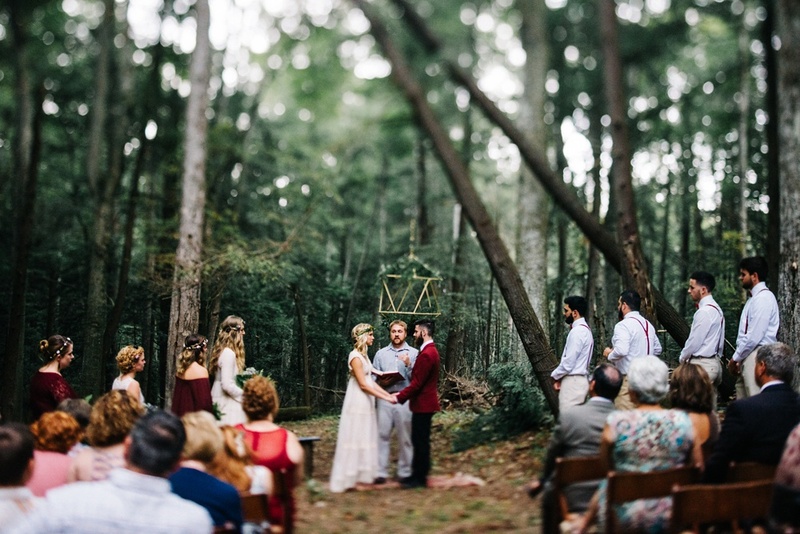 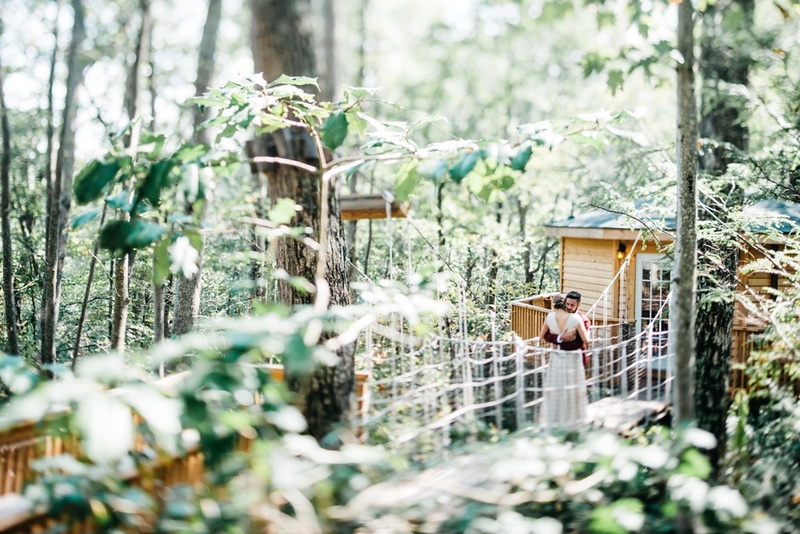 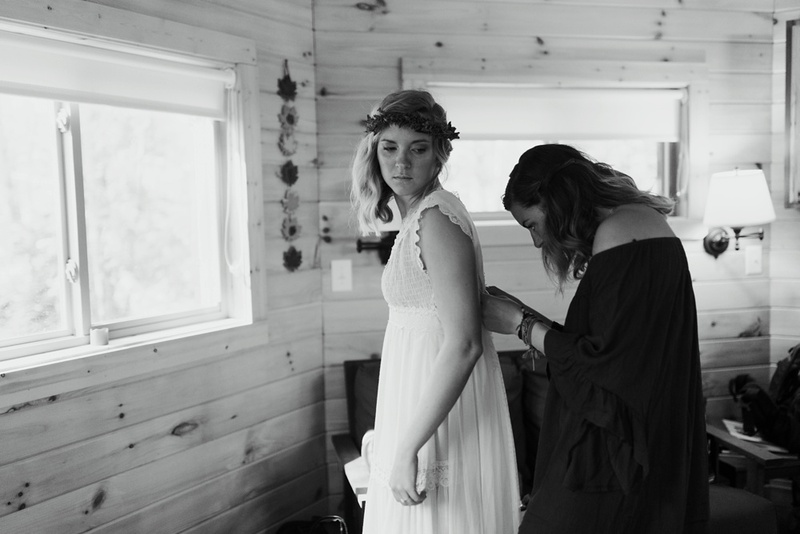 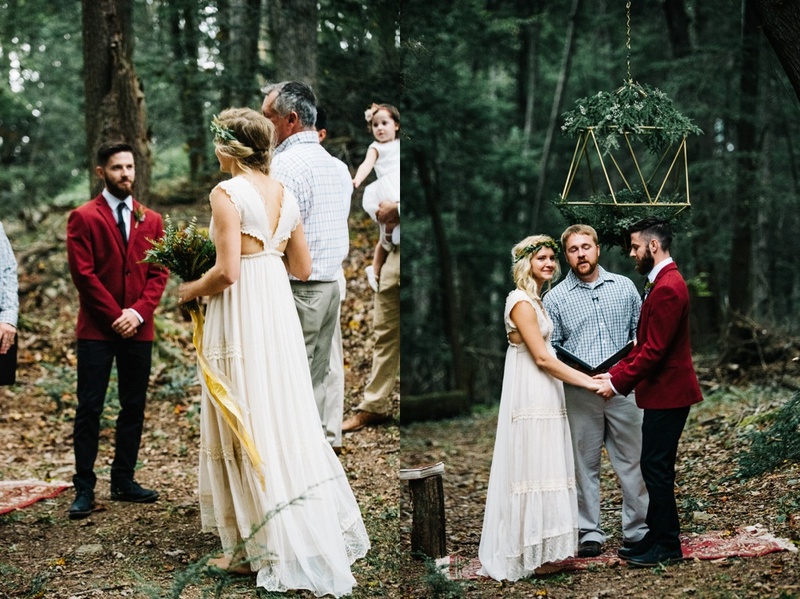 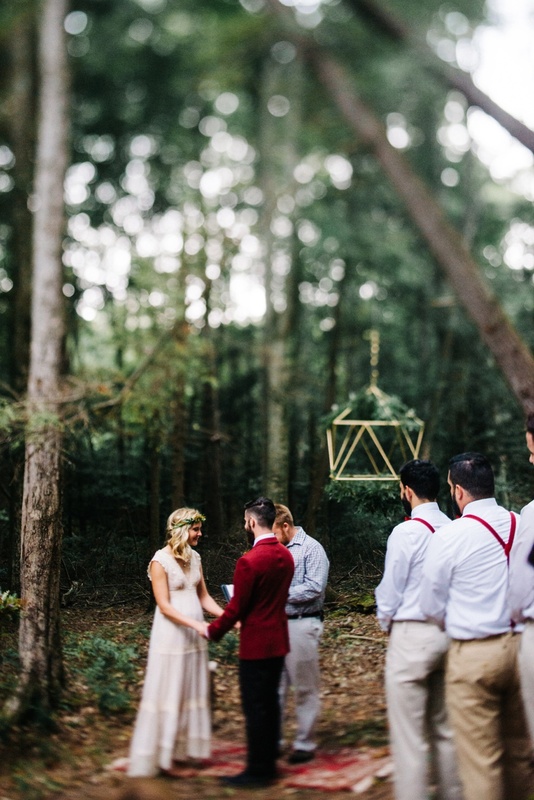 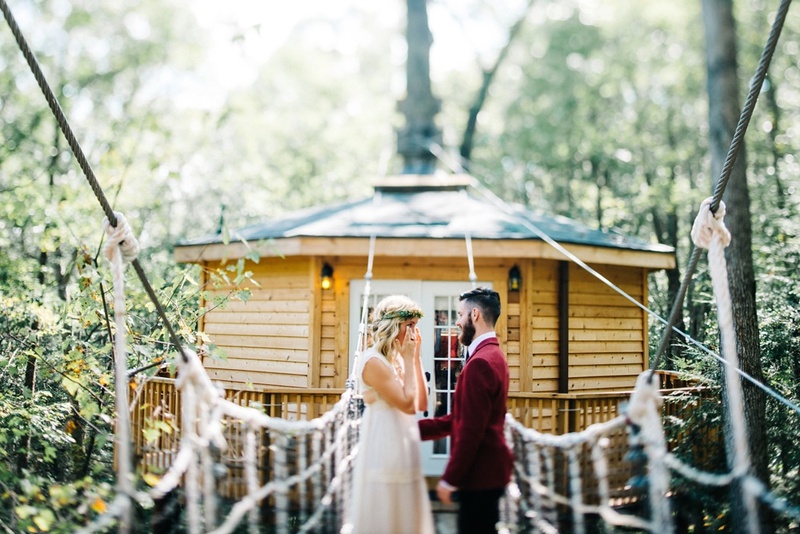 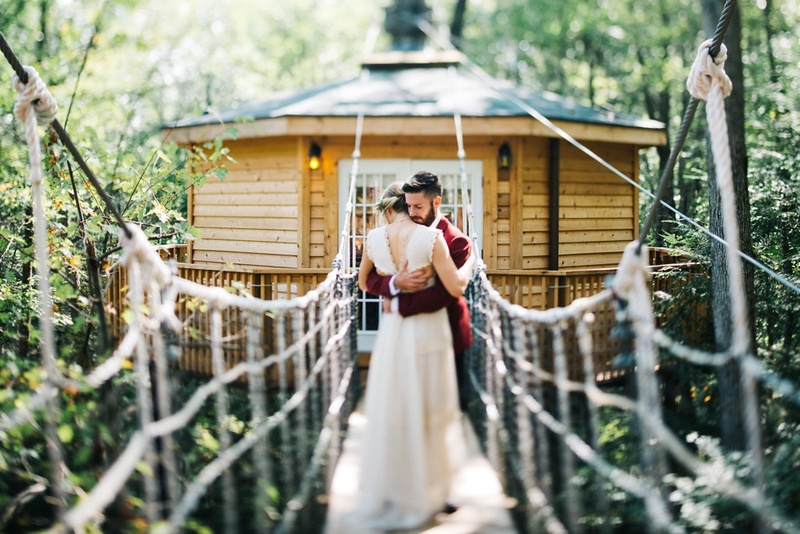 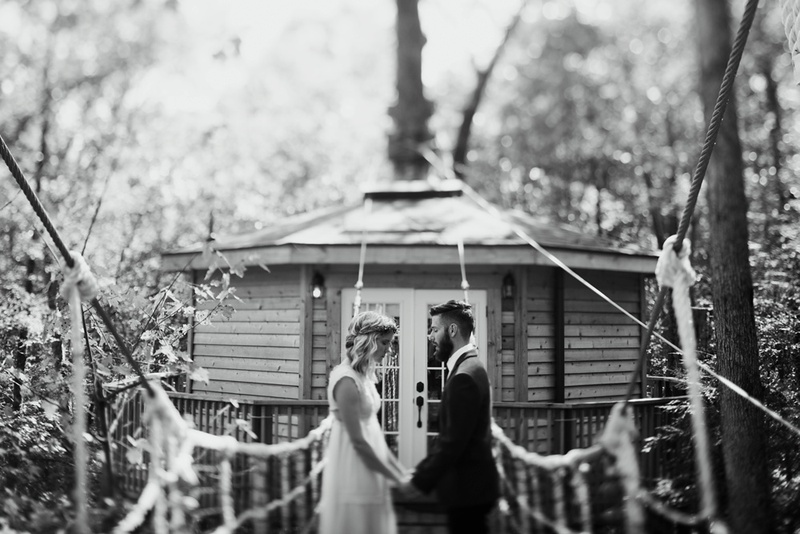 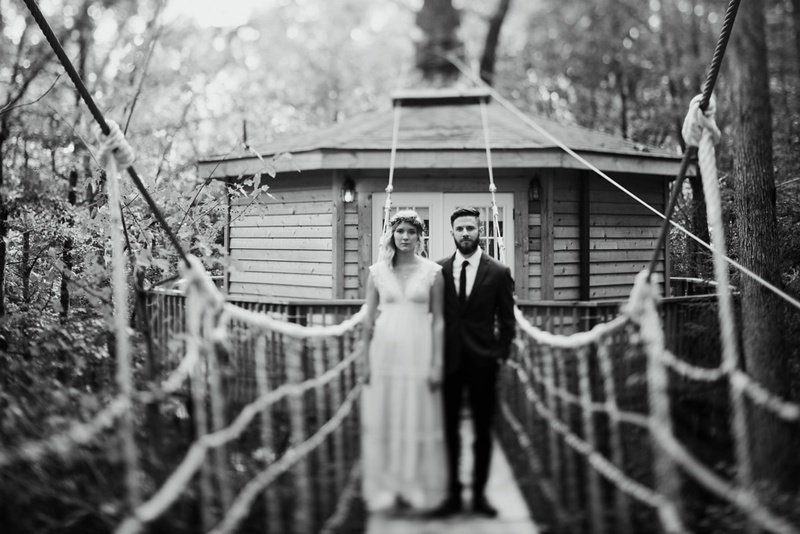 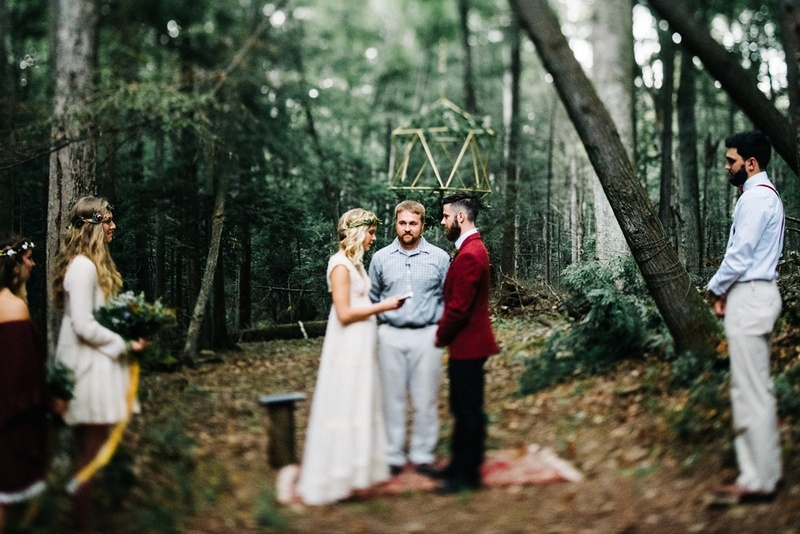 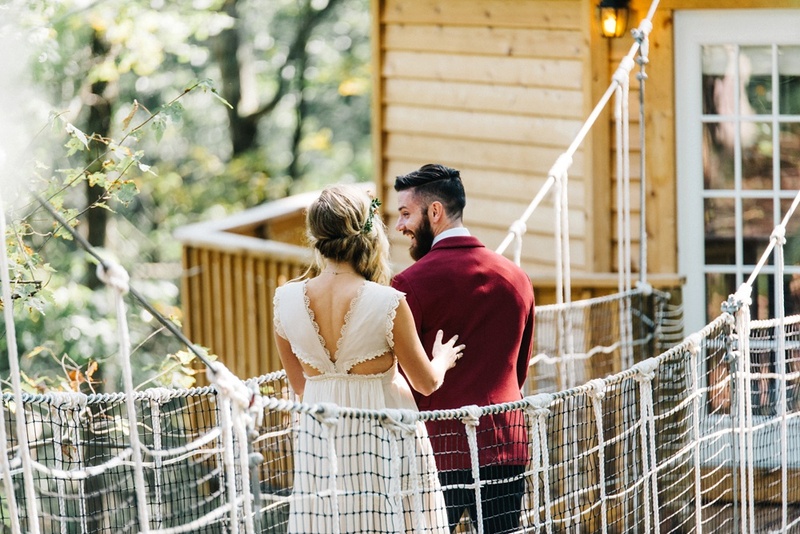 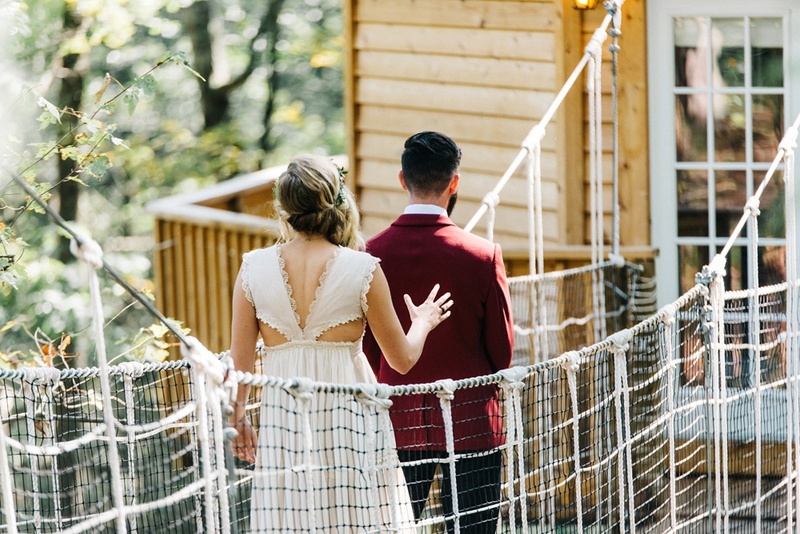 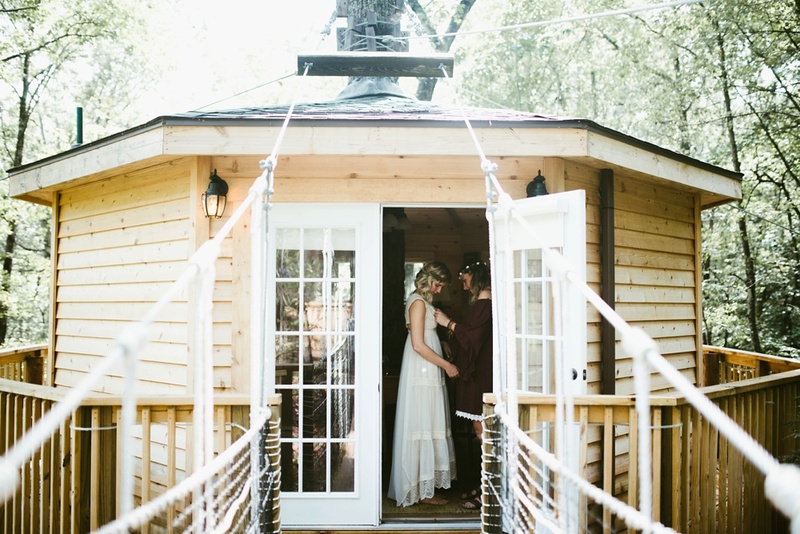 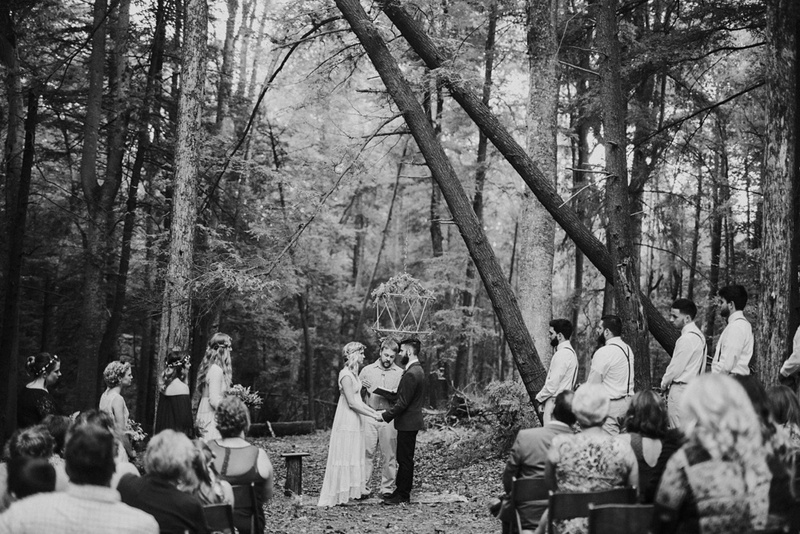 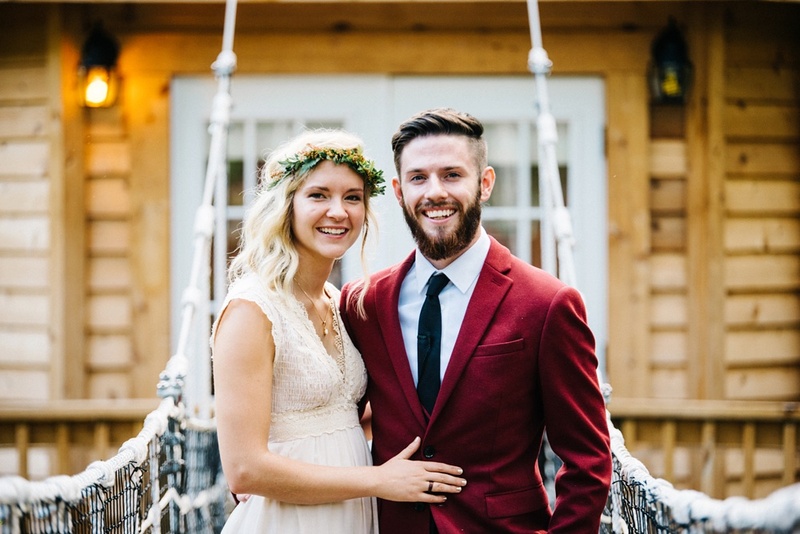 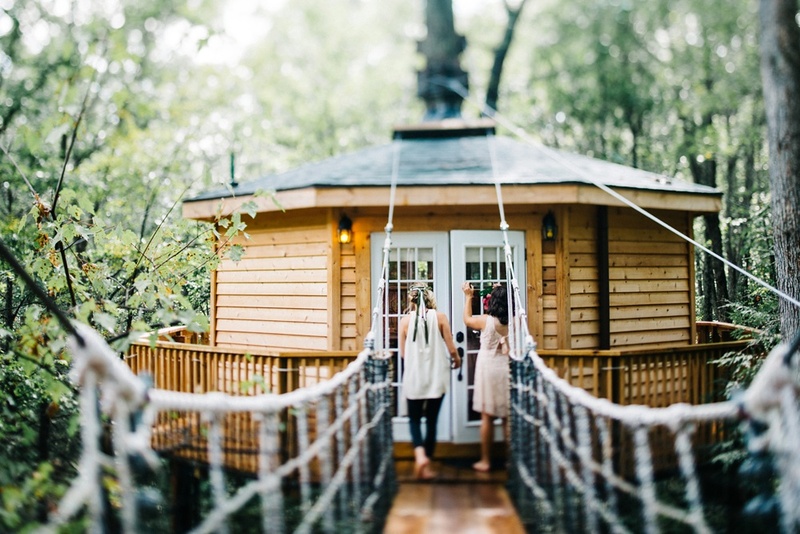 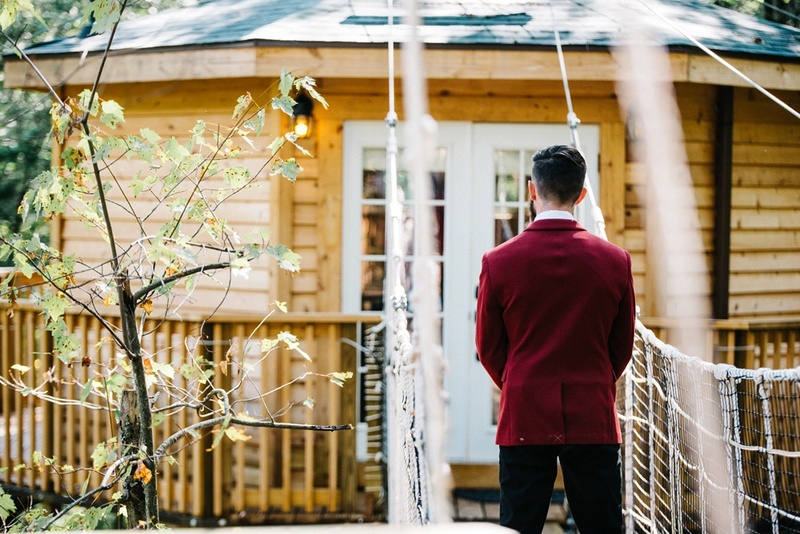 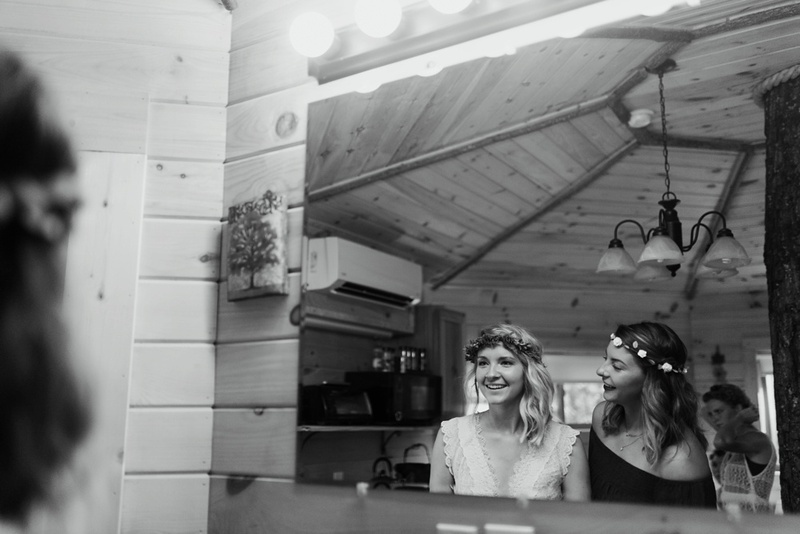 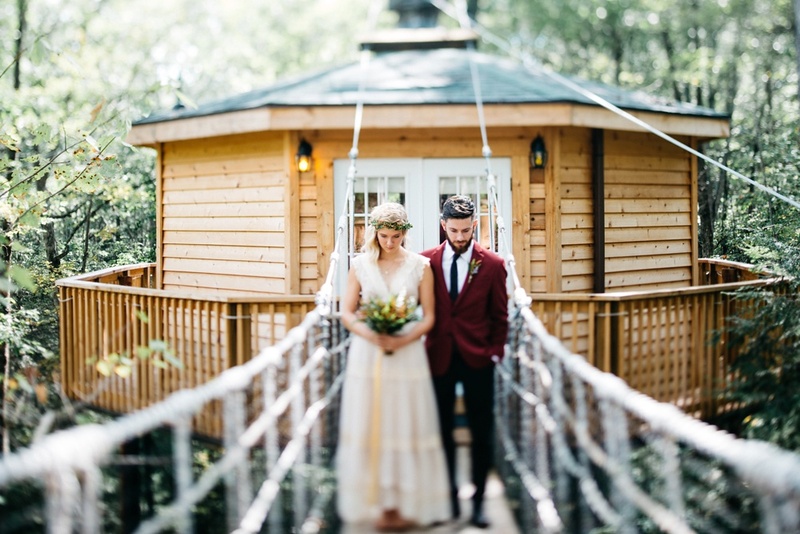 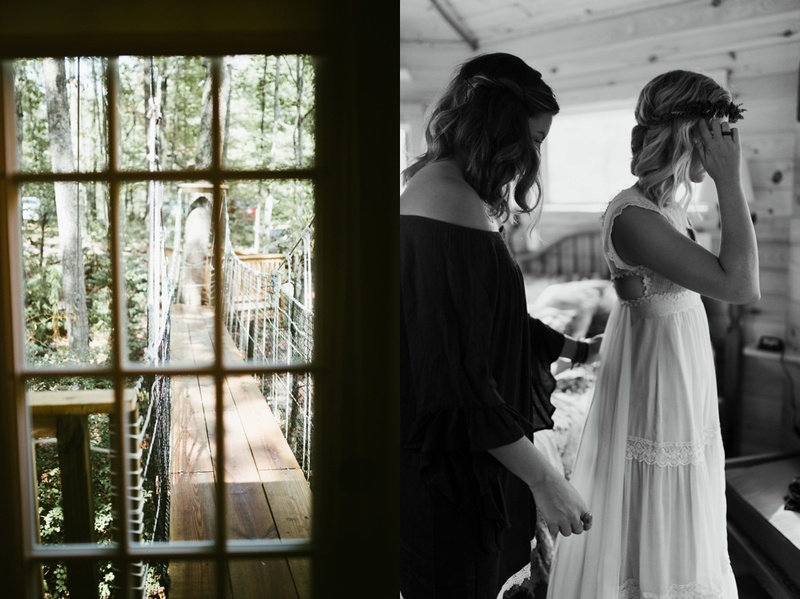 We started off in a treehouse where Braiden and Preston had their first look, then moved on to a small cabin for the ceremony. 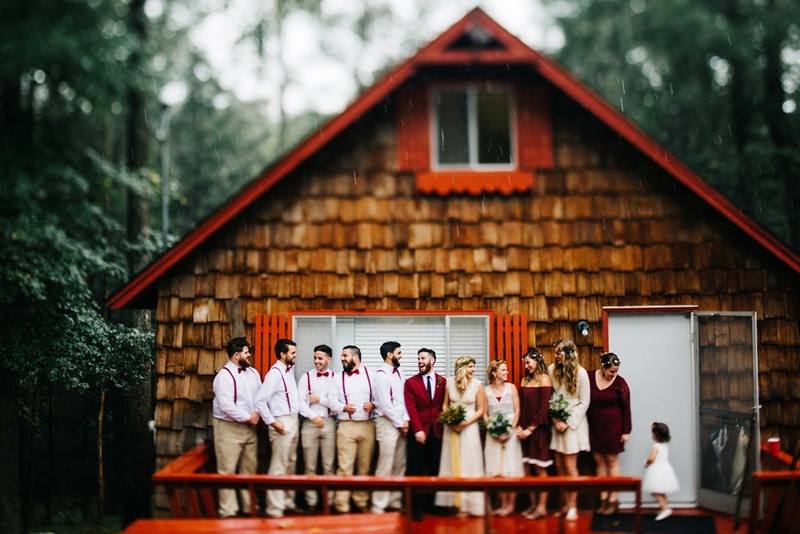 It started pouring the rain in the middle of their event, so everyone ran for shelter in the cabin. 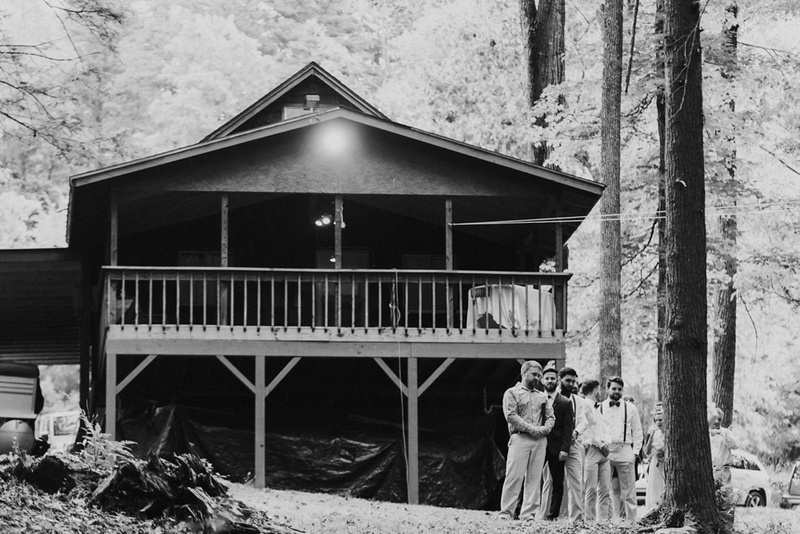 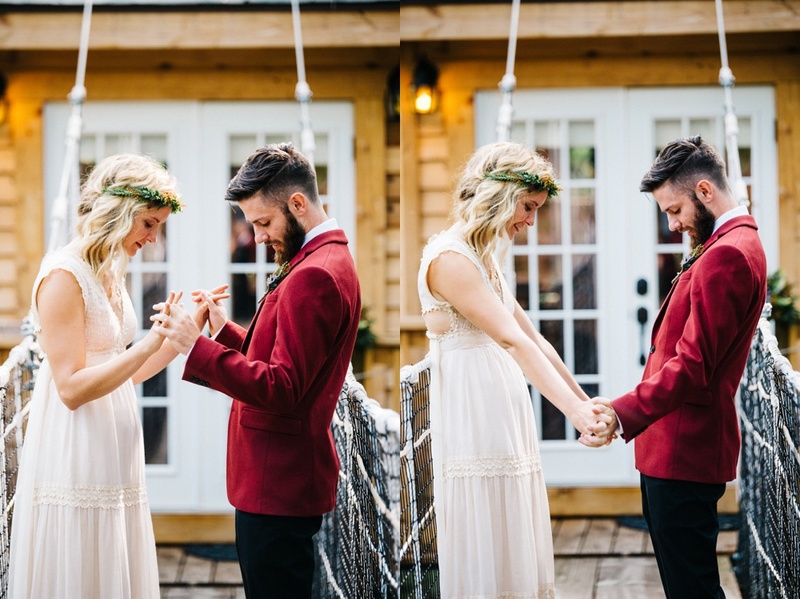 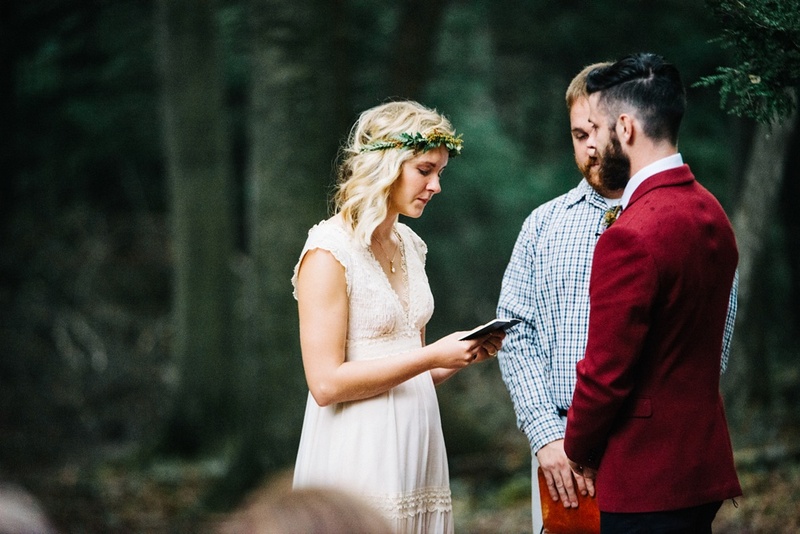 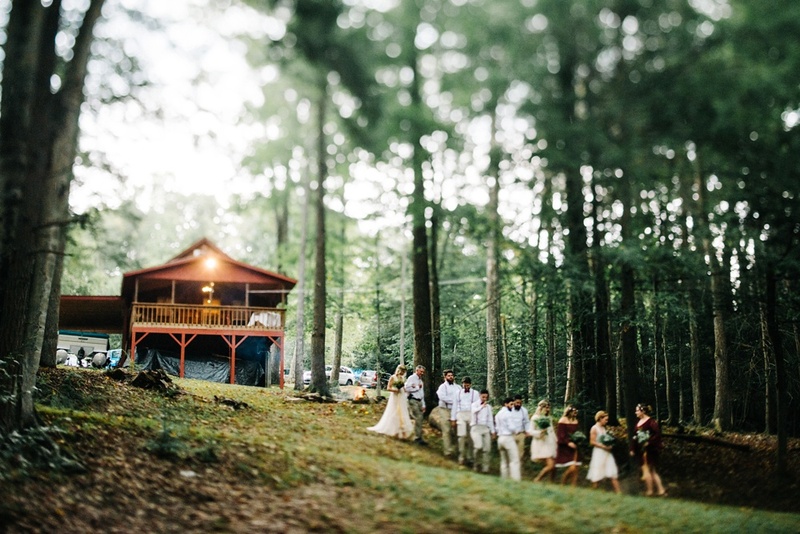 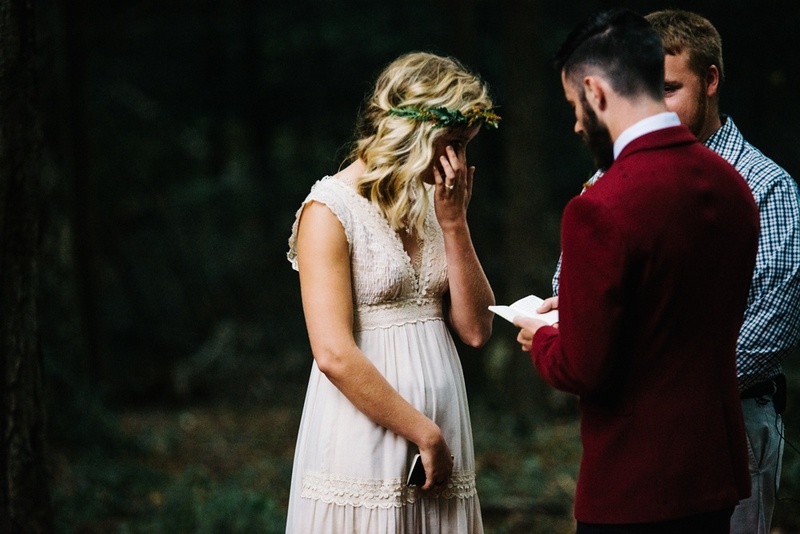 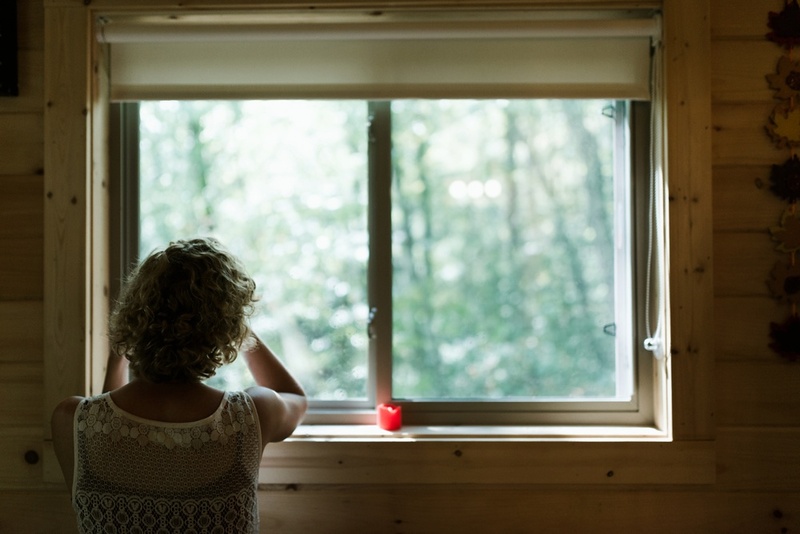 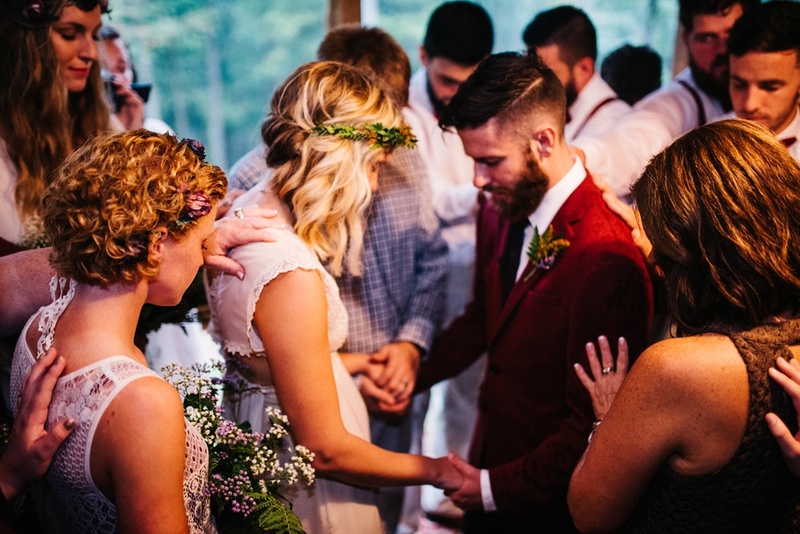 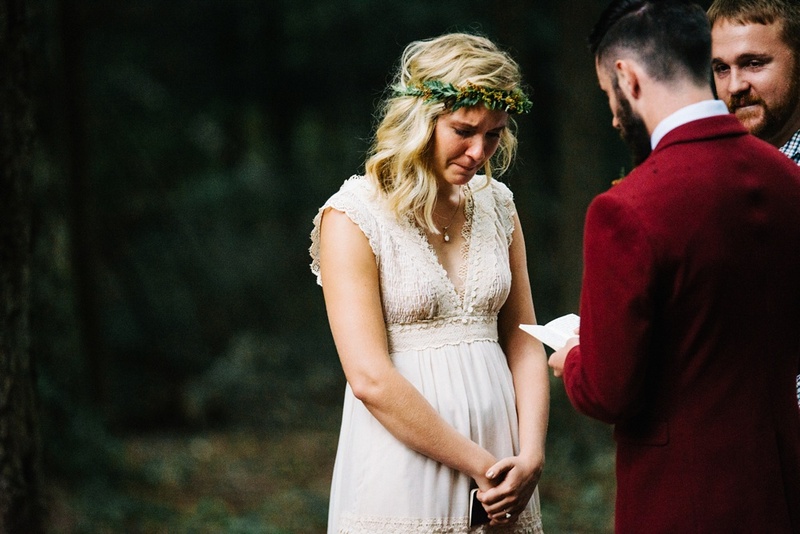 They finished their ceremony on the back deck of that cabin without any reservations. 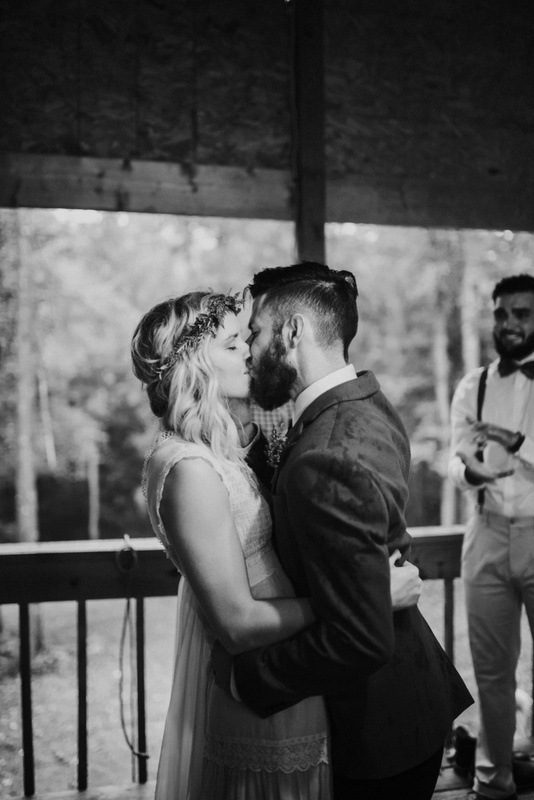 Remaining as happy as can be. 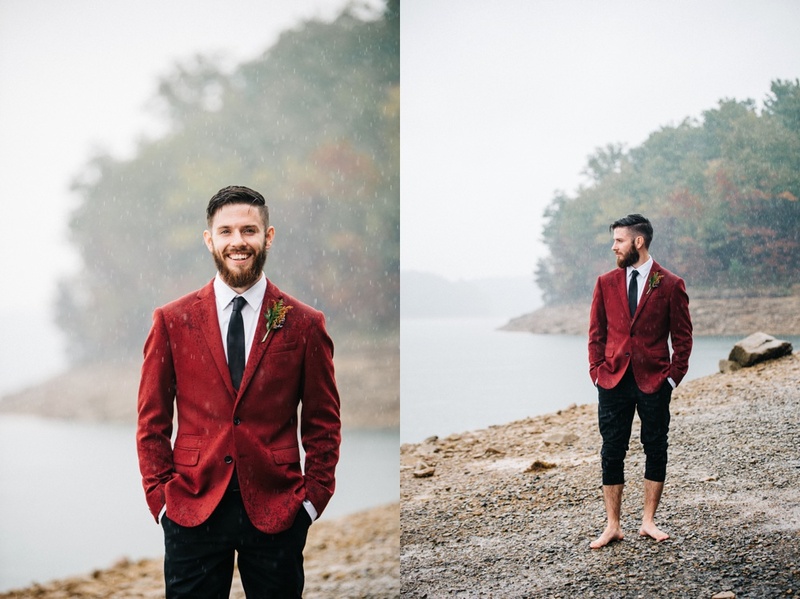 We then decided to run outside for some bridal party shots, despite drops of water continuing to fall from the sky. 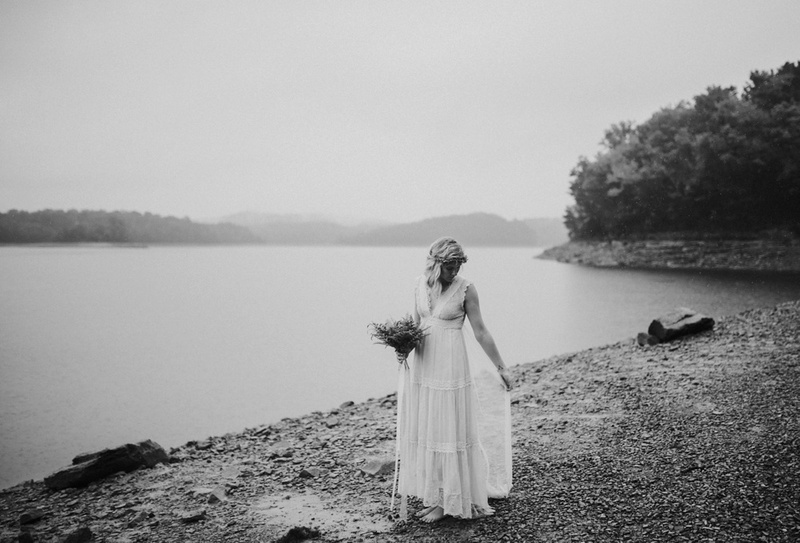 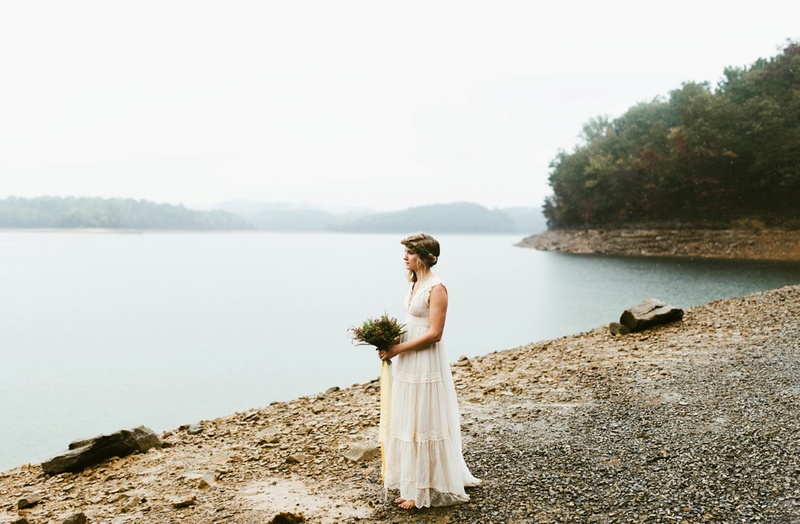 Soon after, we headed to Summersville Lake for portraits where it was raining even still. 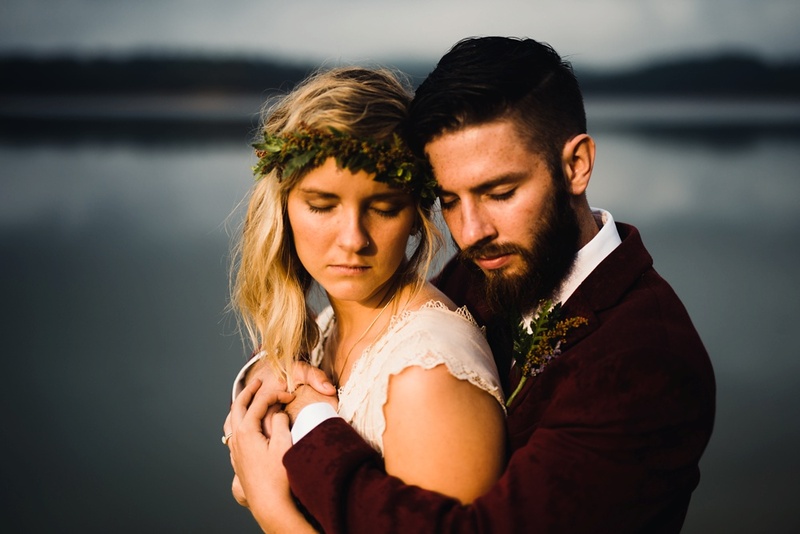 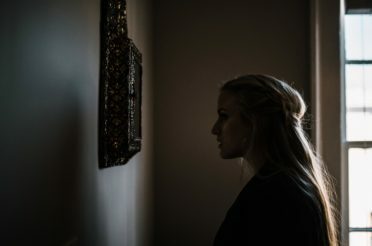 For a few moments on the lake, the sky opened up and the sun shined, which in turn made some fabulously dramatic lighting for portraits. 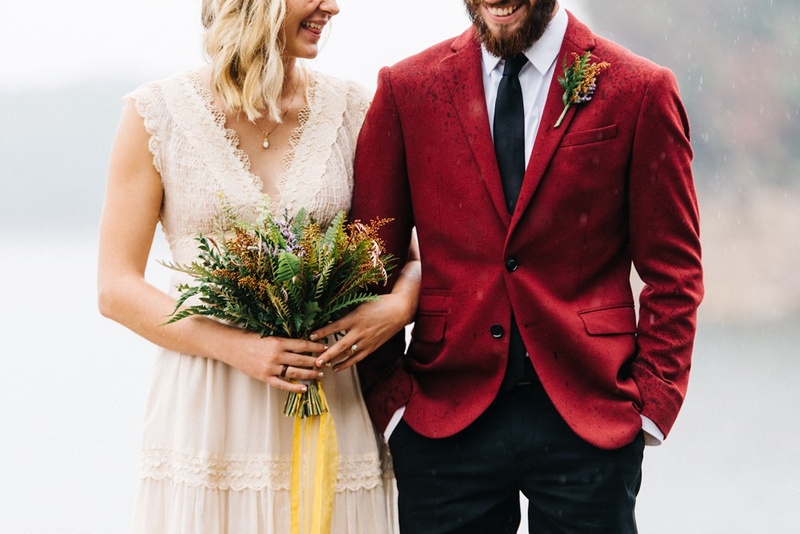 I loved the rain, the misty mountains, and the casual feeling this day had. 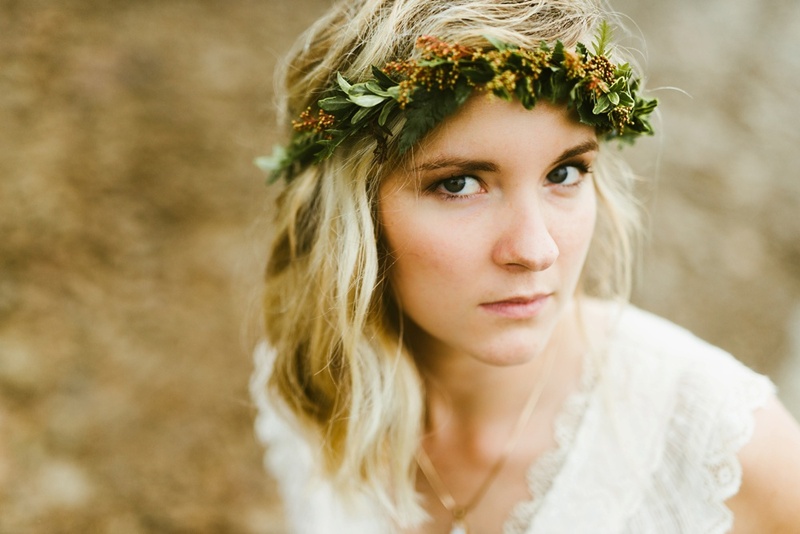 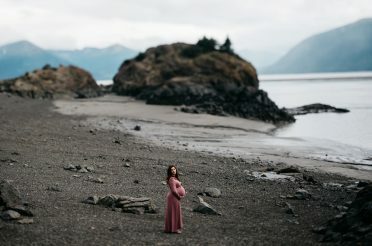 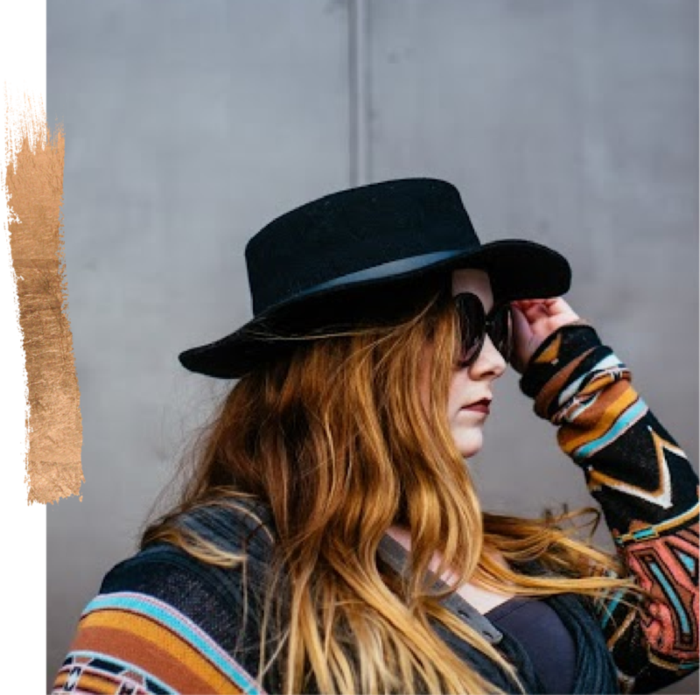 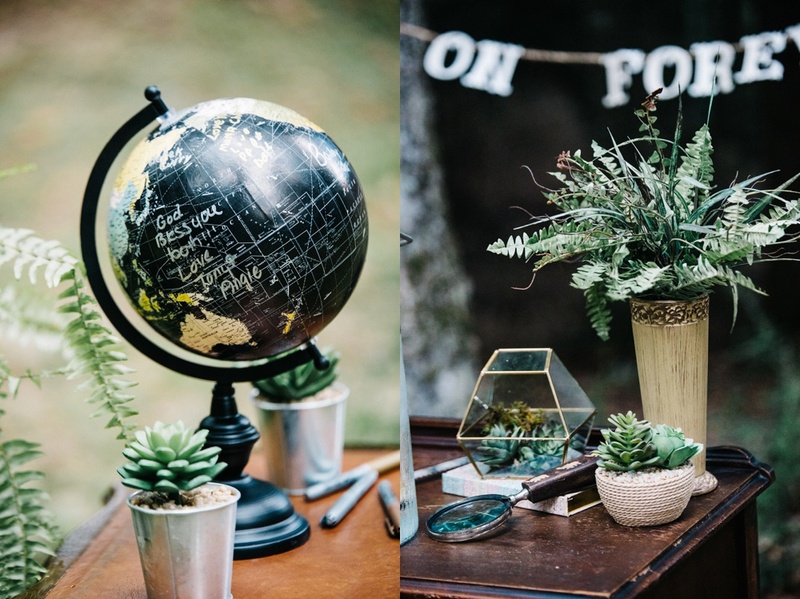 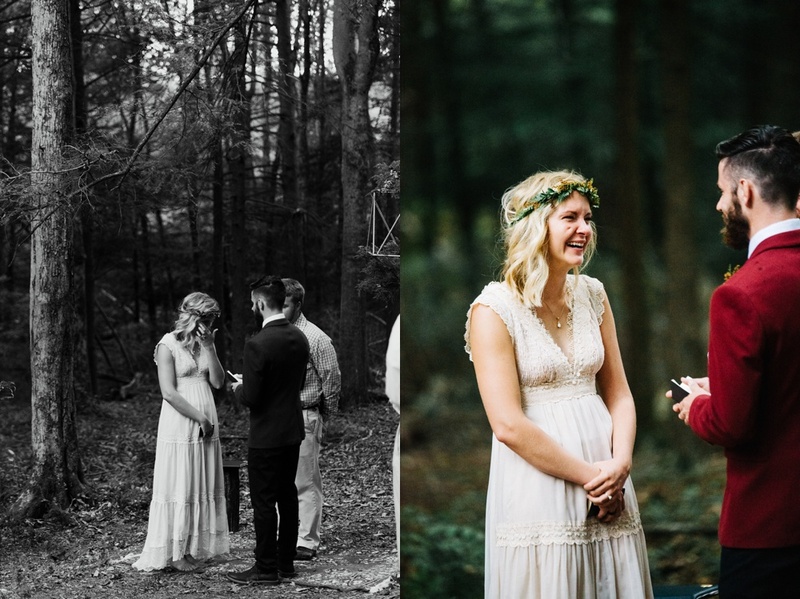 I’d be over the moon to shoot more free-spirited events! 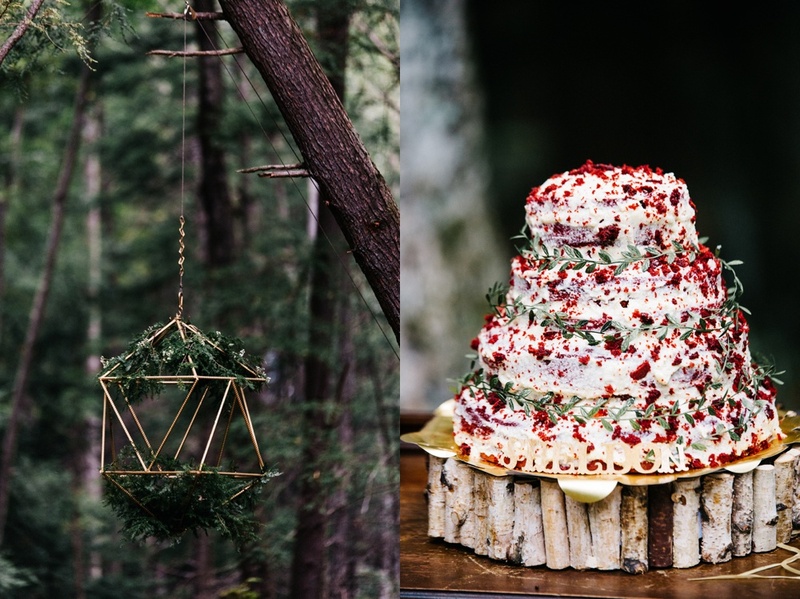 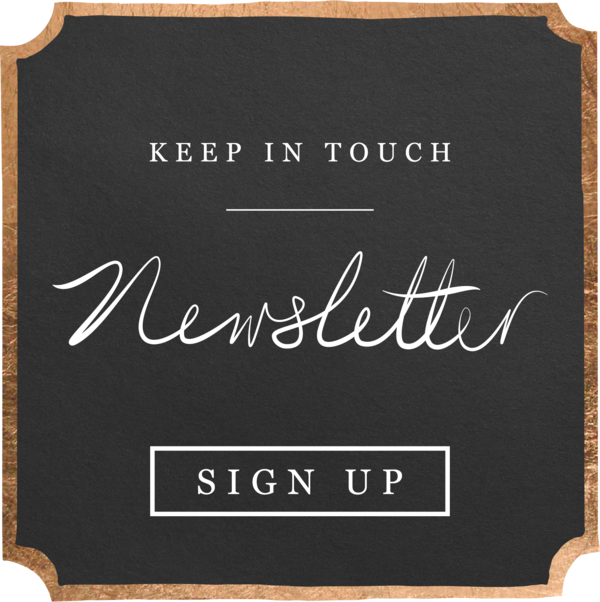 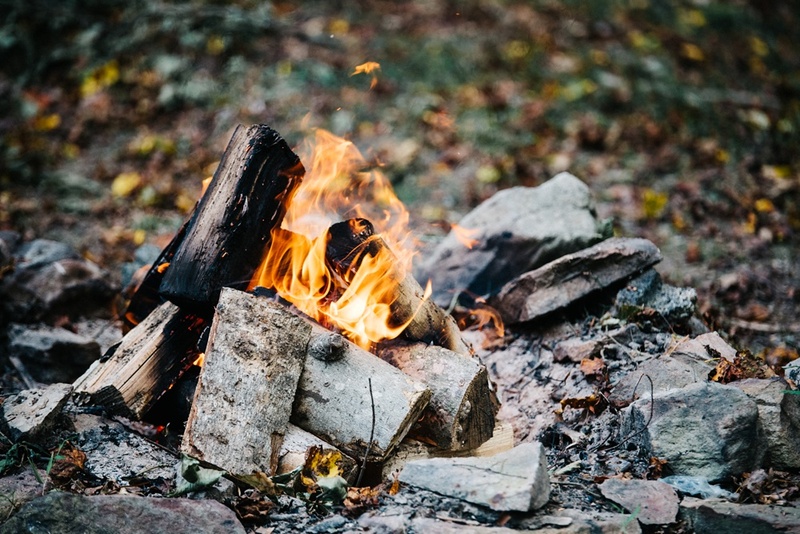 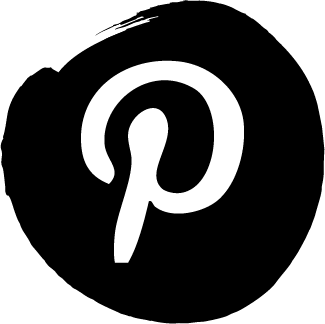 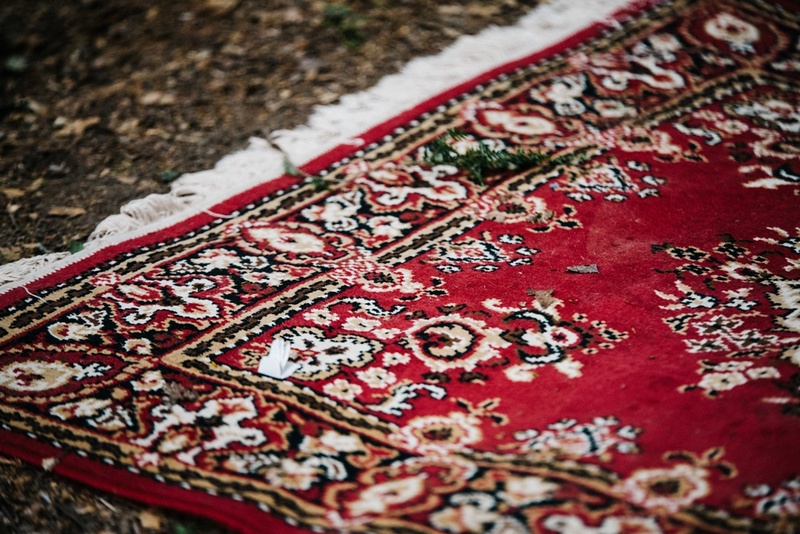 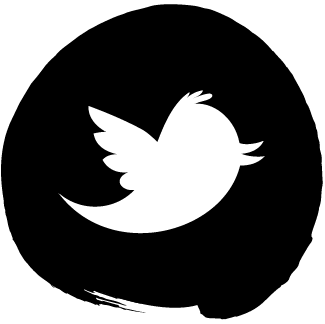 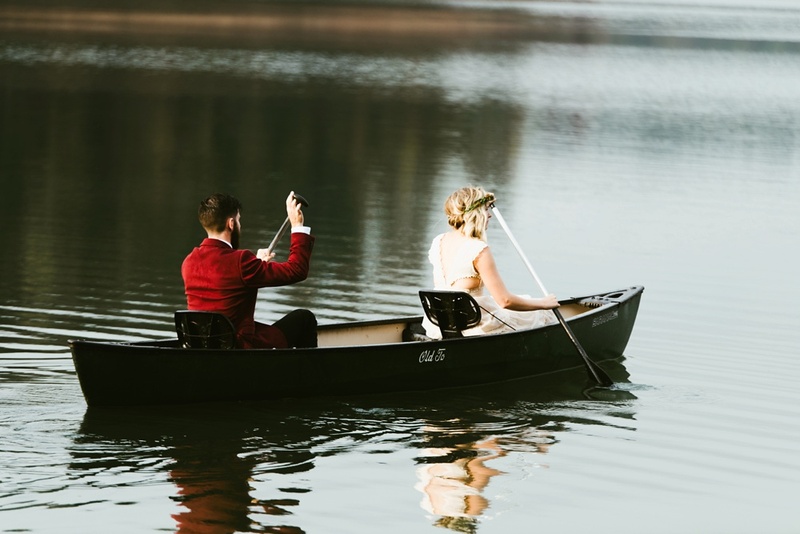 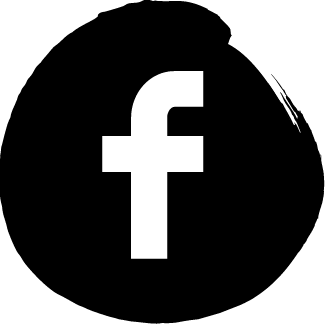 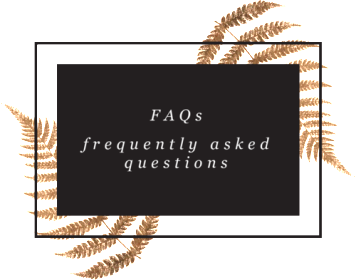 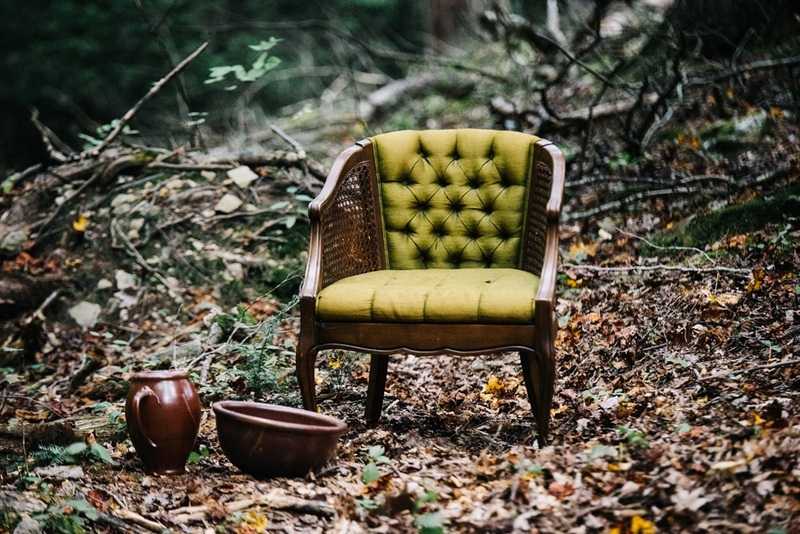 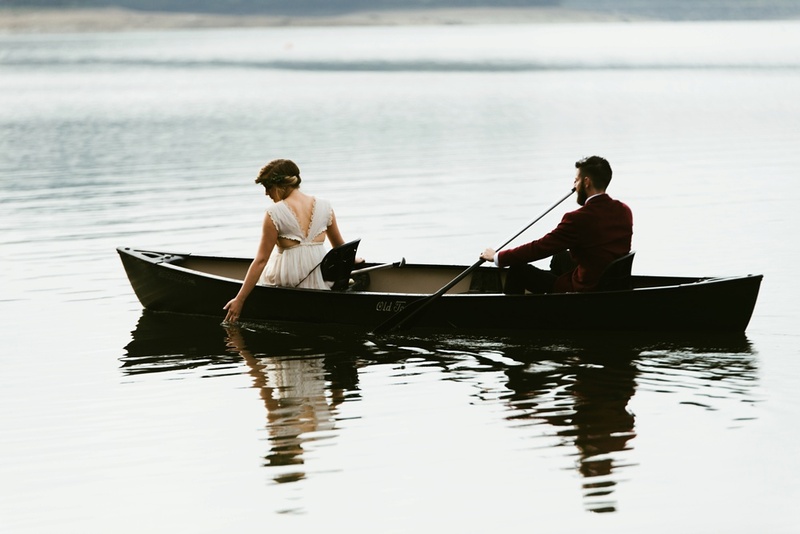 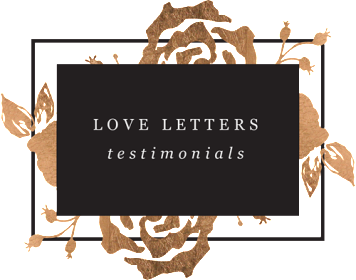 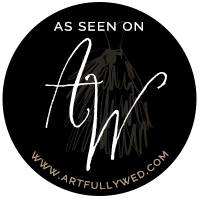 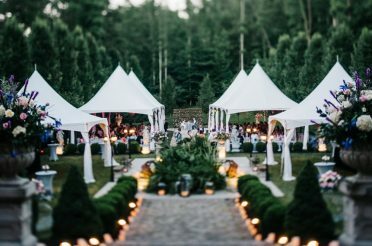 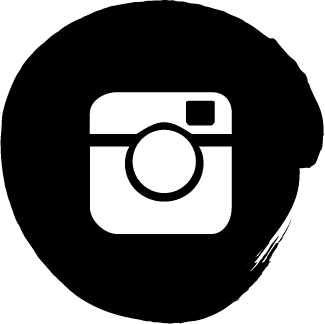 Weddings – they don’t have to be coordinated and they don’t have to be perfect. 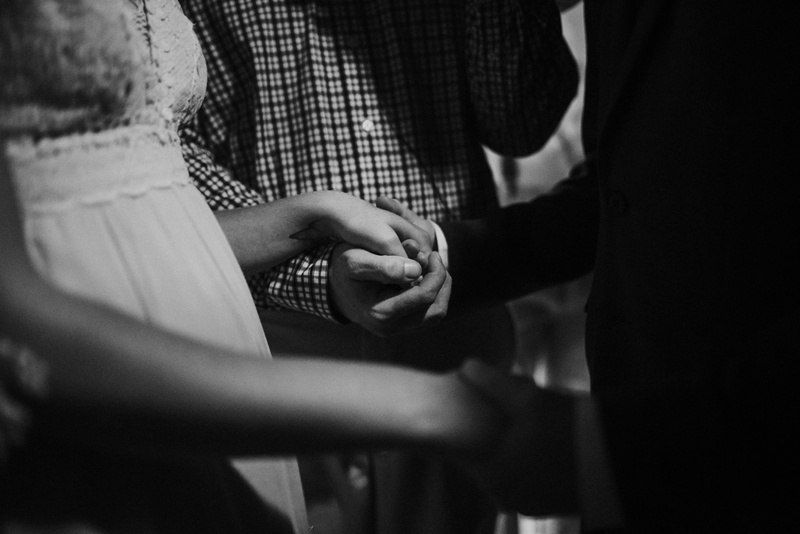 Your marriage is to celebrate your love. 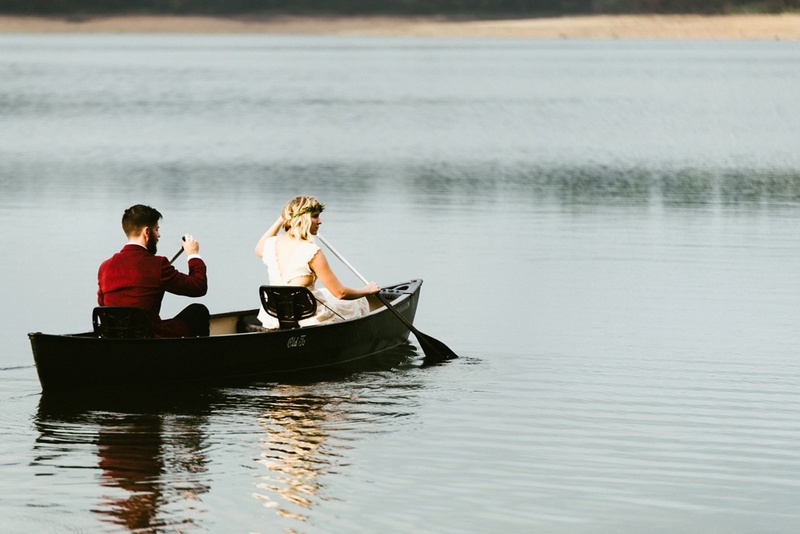 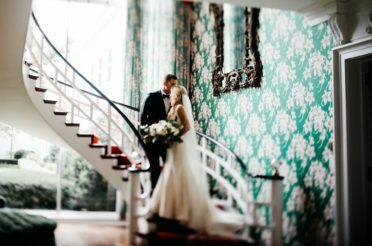 Forget the details and traditions – let the love take you away.